The Great Wall of China. 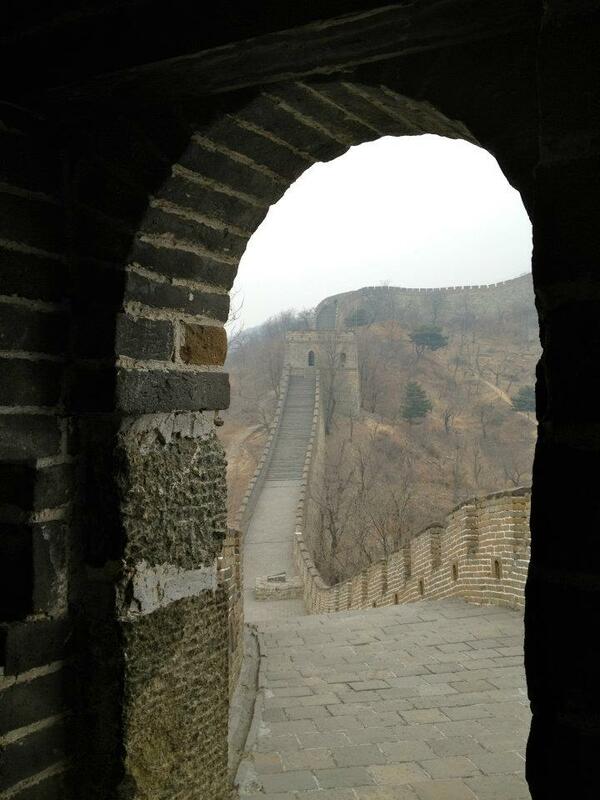 One of the great wonders of the world or just a really long, boring, pointless wall? 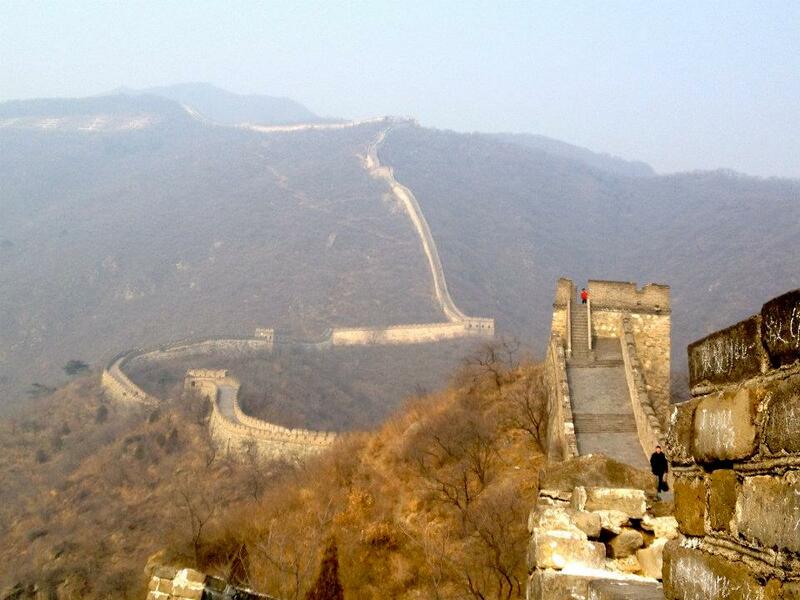 Whatever your take is on The Great Wall, having seen it with my own eyes I can say that it is truly a magnificent sight and there is a reason it is named one of the great wonders of the world. 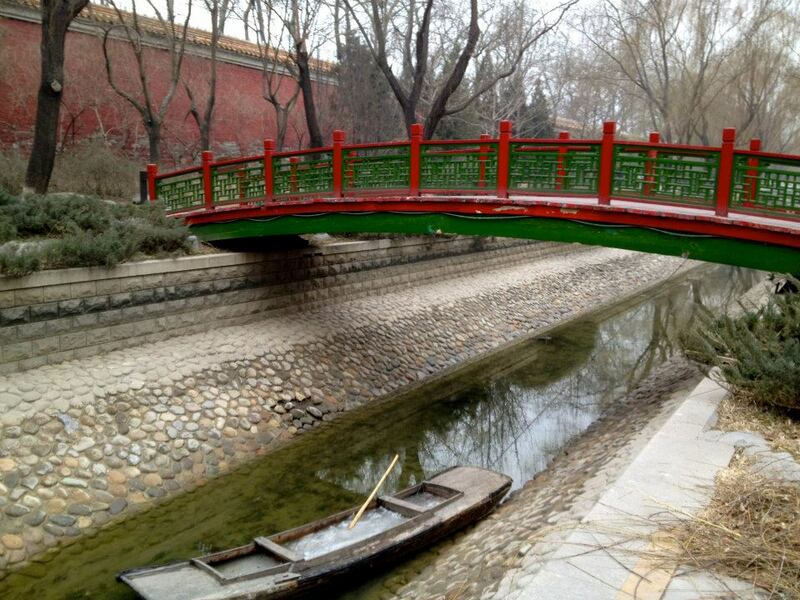 Since I was young, I imagined China as an exotic and faraway place. To me, it was a place I would never have the chance to see; it only existed in movies and pictures in the textbooks. Traveling to China was a faraway dream for me, but after coming to Korea I knew my dream of going to China was closer to becoming a reality. 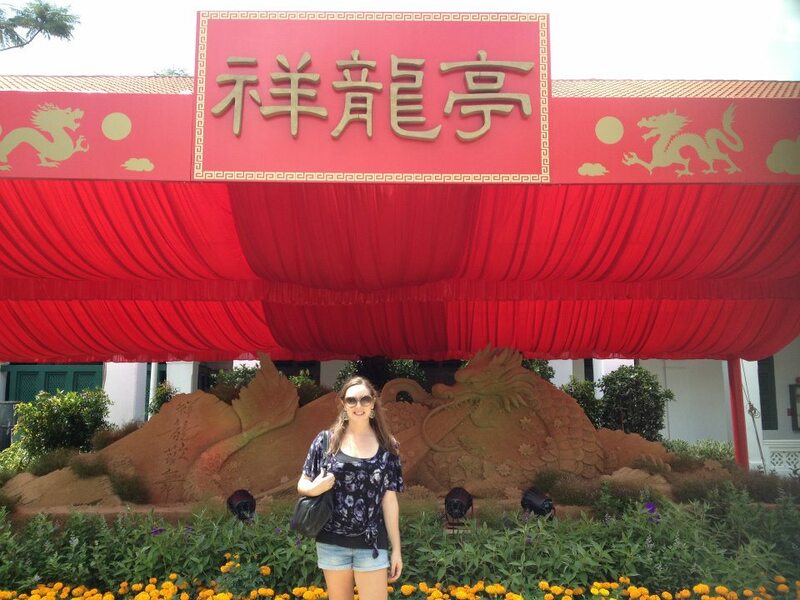 Although I have traveled to many exotic and beautiful countries in Asia, China had remained number one on my list of places to go. My last chance to go was this past February. 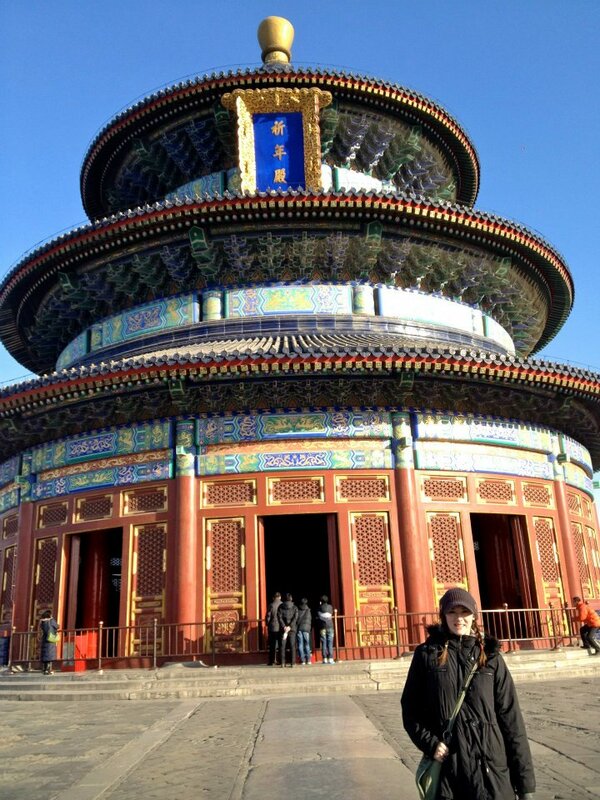 I never imagined that I would make it to Beijing, nonetheless be traveling alone, and in the winter, but knowing that another chance might not come for a while, I made it happen. 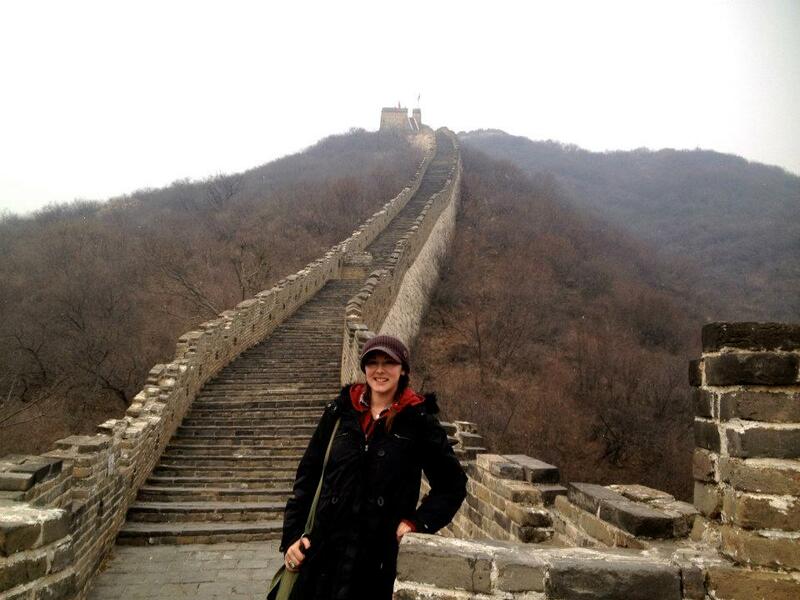 Finally making it to the Great Wall was symbolic of me achieving a lifelong goal. Two years ago I would have never in my wildest dreams predicted that I would have made it this far in the world and in my own life. 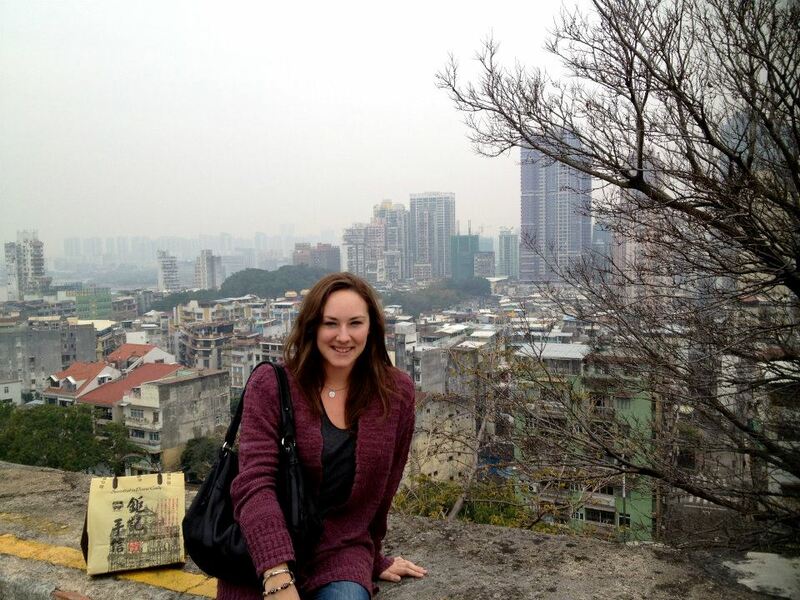 The traveling I have done has helped me gain confidence and it has changed my outlook on life. 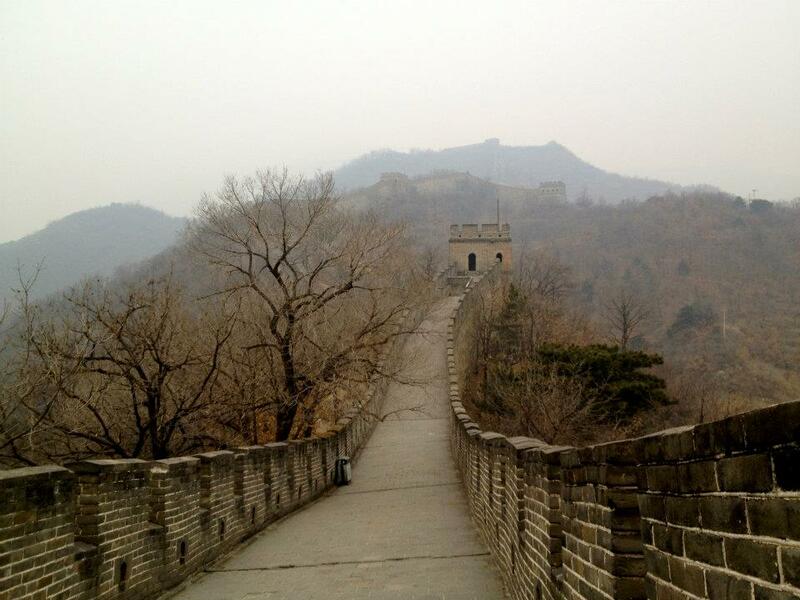 Making it to the Great Wall was the paramount point in my journey to Asia where everything came full circle for me. 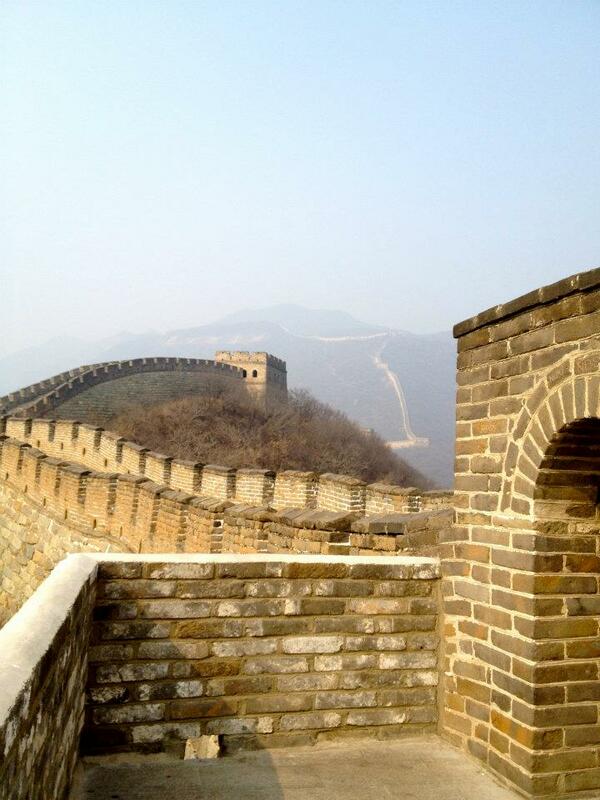 Standing on the Great Wall, I felt like I had overcome many fears and insecurities in my life in order to make my dreams a reality. 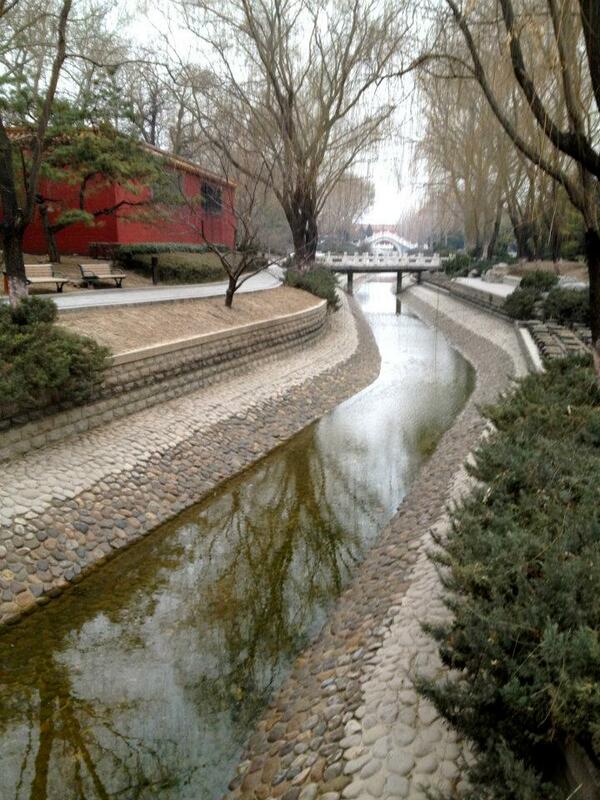 On the second day of my trip to Beijing I booked a tour through my hostel to see the Mutianyu section of the Wall. I chose this section for a couple reasons. First, this section is not the most touristy, but it’s also not the most rugged section either. 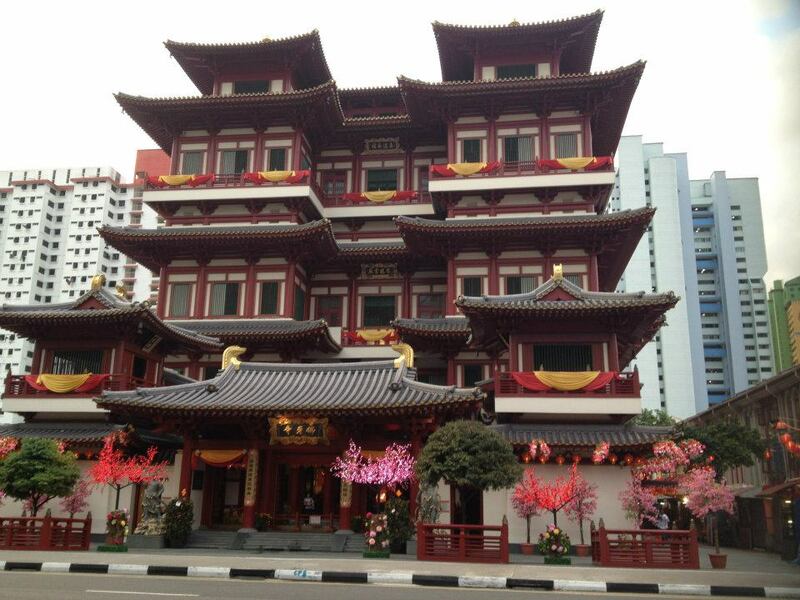 It’s a nice balance between touristy and authentic. The location is very far from anything commercialized (although strangely enough there is a Subway sandwich shop at the base of the entrance), which makes it inconvenient for tour groups to bring many visitors. 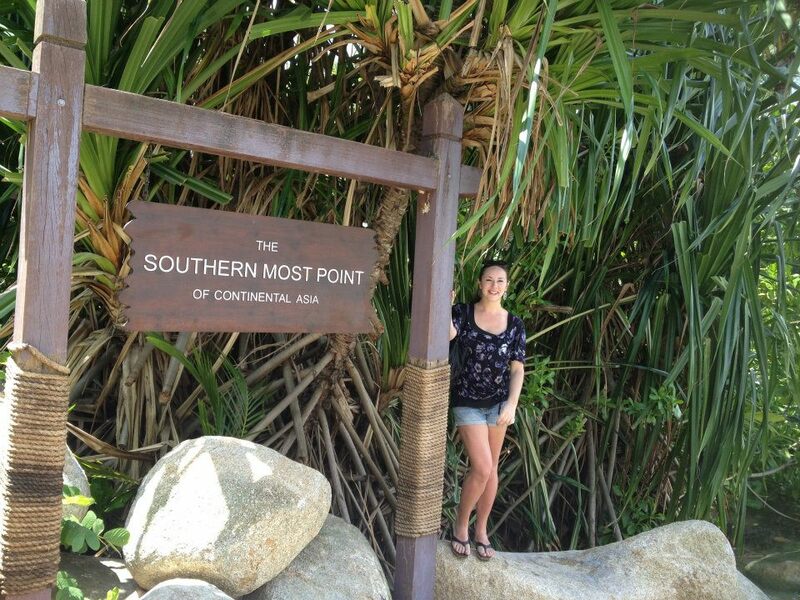 There are no “tourist traps” along the way. 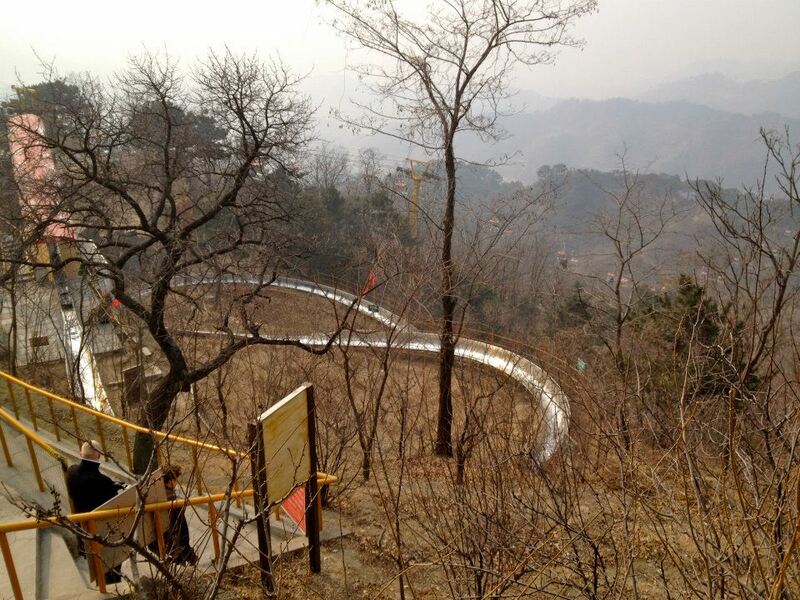 The part that makes it the most touristy are the chair lifts, cable car, and toboggan slide. On this section there are 22 watchtowers. 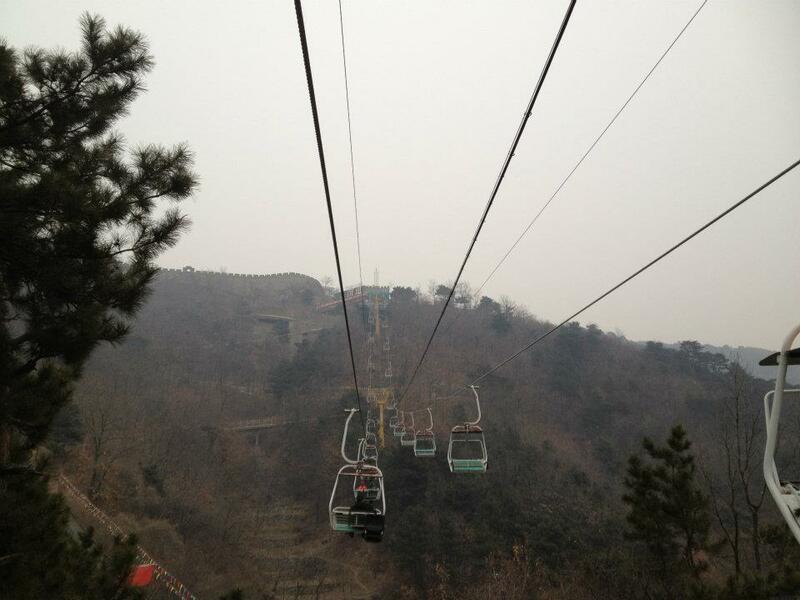 I opted to ride the 5 minute chairlift from watch towers 1-6. Then I walked for about 2 hours to get to watchtower # 22 and it took me an hour to walk back to the chair lifts where I took a 5 minute toboggan slide down. 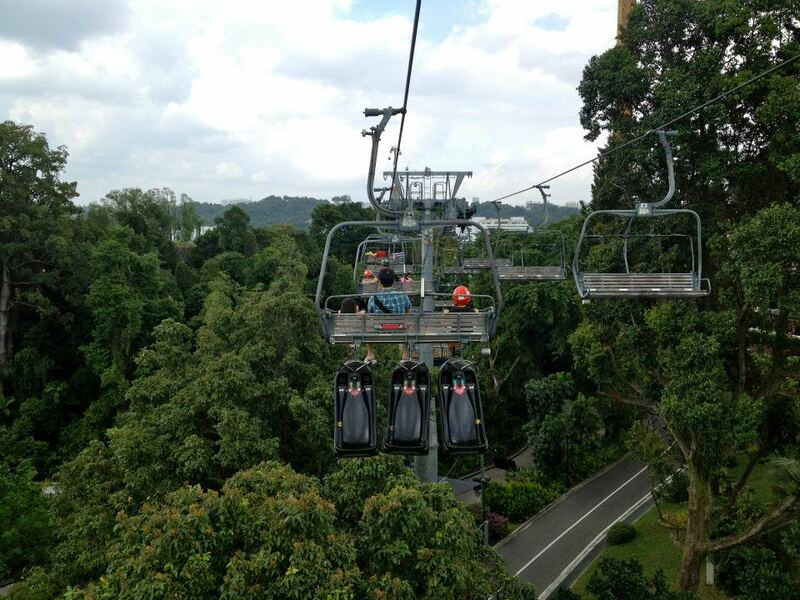 There is also an option to take a cable car further, but either way you are doing a lot of walking. At the end of the section you have to walk up an extremely steep set of stairs. Although the weather was freezing I kept nice and warm from all of the walking up and down the hilly terrain of the Wall. The Great Wall was everything I had hoped it would be and more. 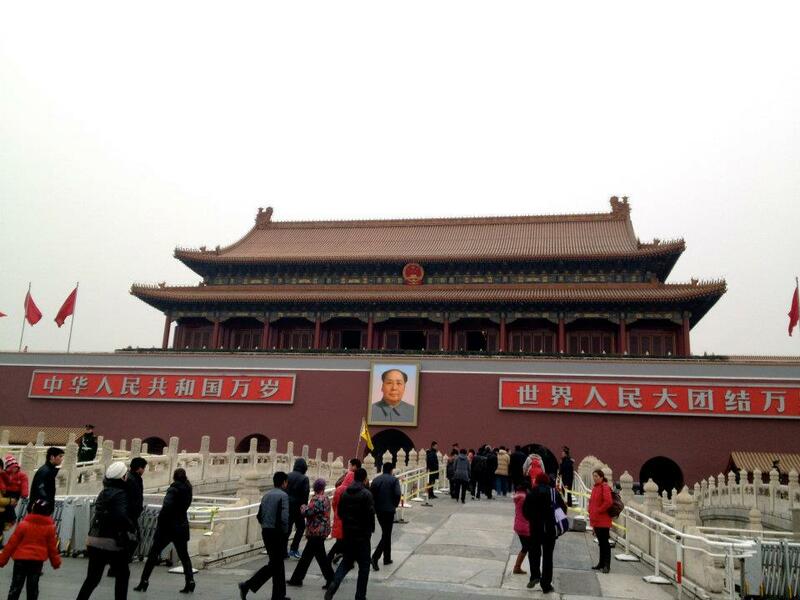 Because of the proximity of the Wall to Beijing City (about 2 hours) plus the ridiculous traffic (add another hour), you need an entire day to see the Wall. My day began at 7:30 a.m. and ended at 6:00 p.m. After that I was ready to call it a day. If I ever have another chance to go again in the future I would love to see it in the spring. 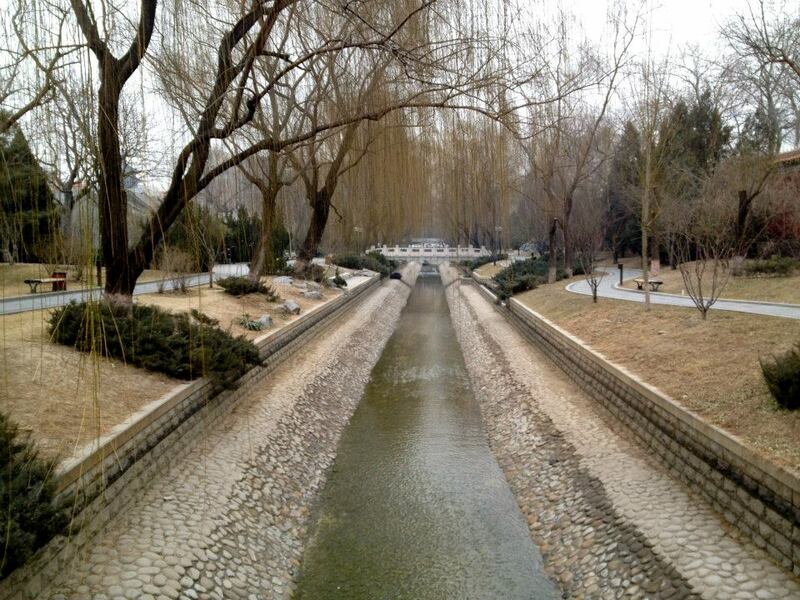 The Wall in the winter was very peaceful. Most times I heard nothing else but the sound of the wind. It was such a good feeling to be standing on something built hundreds of years ago and to go back in time to picture what it must have been like to build such a Great Wall. 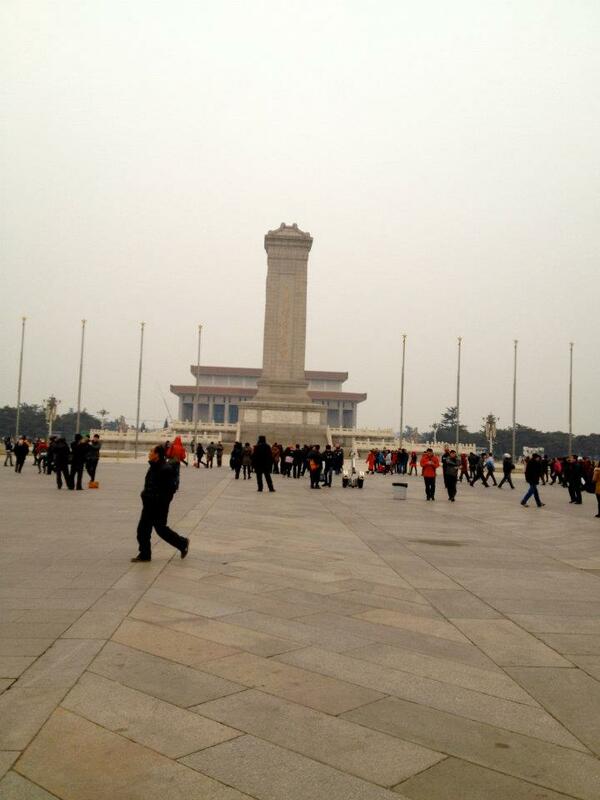 Three days in Beijing. Alone. In 30 degree weather. 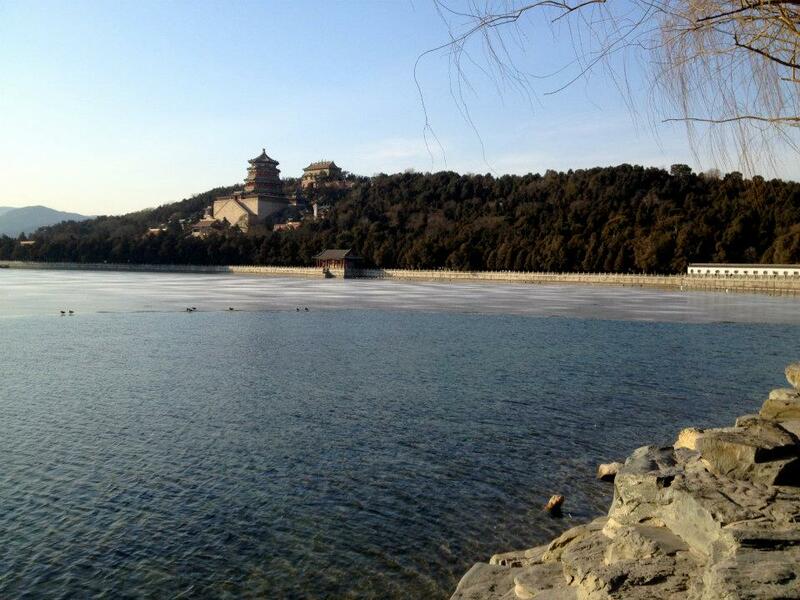 Definitely not words that describe the ideal getaway and I can say for sure that my time in Beijing was anything but a vacation. 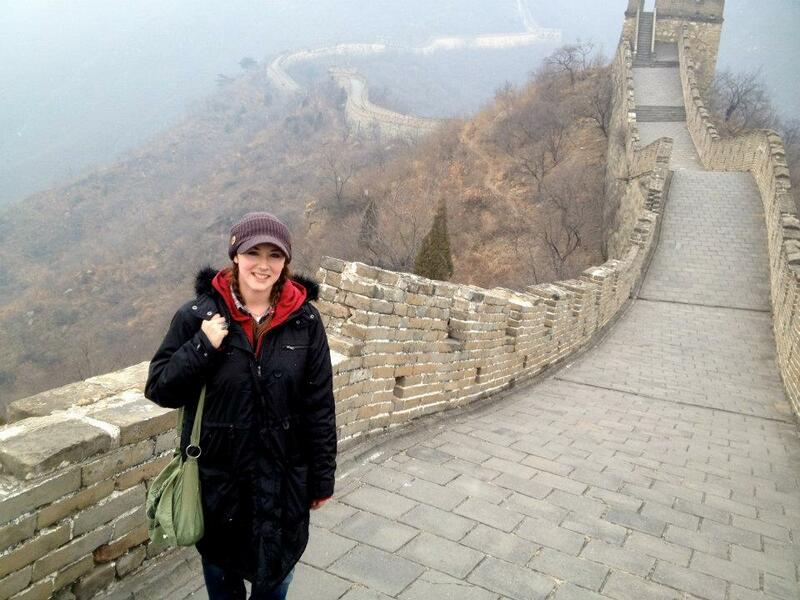 However, my number one goal: to get to the Great Wall was what I planned to accomplish and anything else I could get done in 3 days would be a bonus. 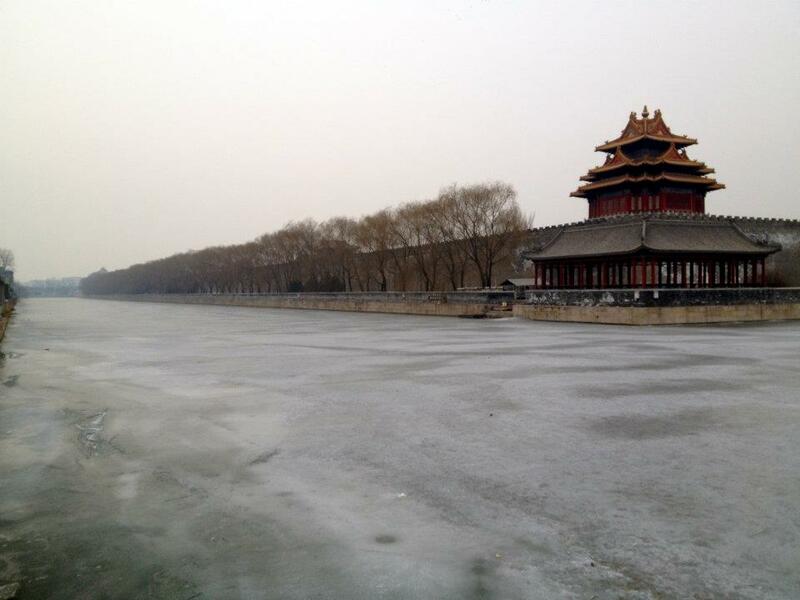 Needing at least 6 months left on your Korean visa to get a Chinese tourist visa plus the fact that I had vacation time in February was what forced me to head to Beijing in the middle of winter. Although I have to say if you want to “beat the crowds” winter is the time to go. 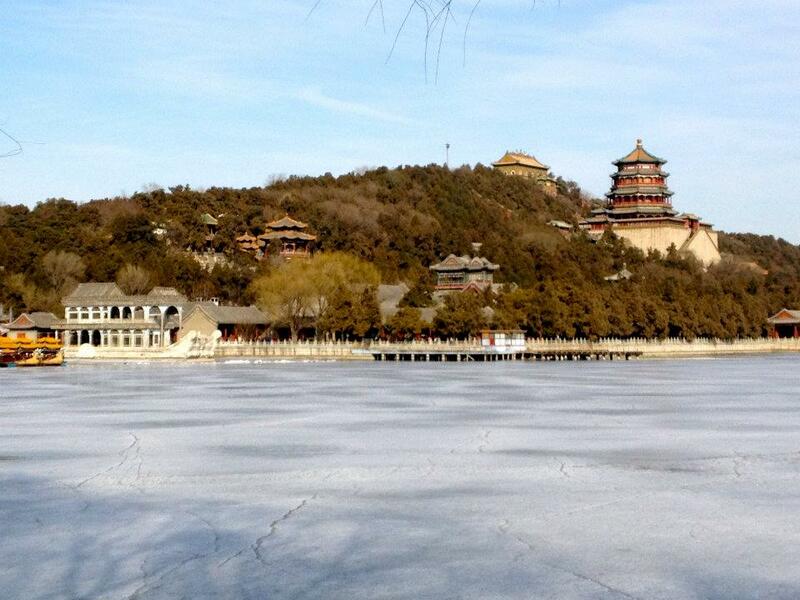 Since Beijing is one of the highest populated cities in the world you can never “beat the crowds.” But if you want to see the sights and take good pictures on the Wall then winter is the best. My advice for you is to prepare for the cold and dress in layers. 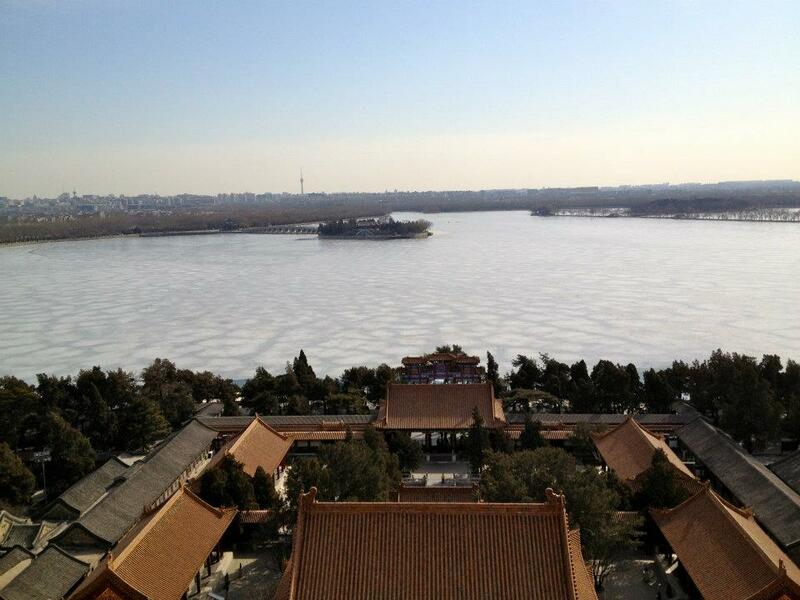 My two first impressions of Beijing were, “Wow. 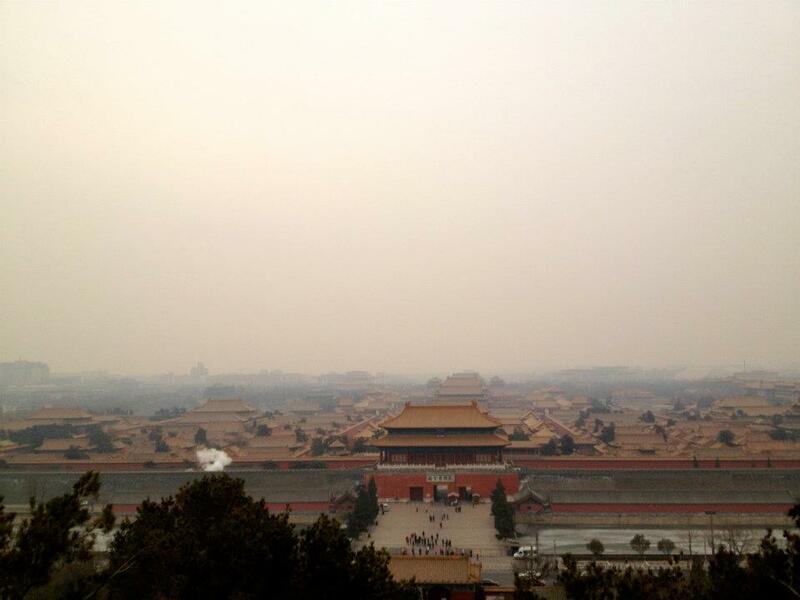 I have never seen such smoggy air in my life,” and “Holy crap! I have never seen so many people in my life.” And that’s coming from someone who has lived in a smoggy city with 9 million people in it for the past year and a half. After a three hour flight from Hong Kong, I landed in Peking International Airport and took a convenient and cheap airport express train to the center of Beijing. Zooming out of the airport I noticed the dry and barren landscape of China combined with air so thick that it had a yellow tinge to it. I had a subway map, Lonely planet, and directions to my hostel in hand and ready to find my way through the city. I found the subway to be very convenient and a Godsend, since it is literally the only thing where English is written and spoken in all of Beijing. However, lugging a suitcase through a couple transfers in the subway was not fun. Escalators in the subways were hard to come by. Unfortunately, my heavy winter clothes couldn’t fit in a backpack so I was stuck with a suitcase. My advice, unless you want to spend 4x the price (which is still cheap) and taxi it, try to fit everything into a backpack so you can easily move through the subway. 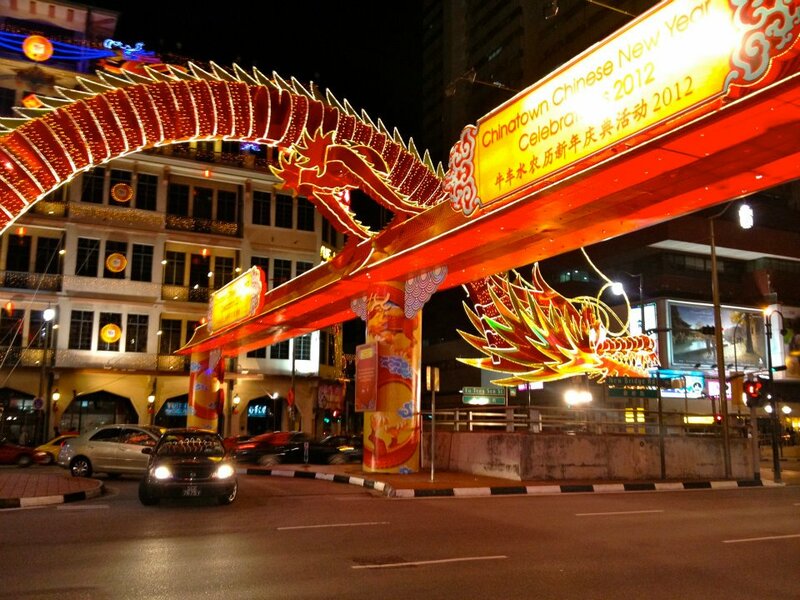 I made it to Happy Dragon Hostel safely. There were a couple seconds where I thought I might have a panic attack since the directions to the hostel were missing one turn. After walking up and down the same street two times and asking two people for directions (pointless) I took a deep breath, decided to turn down a few side streets and eventually found it. I originally booked a dorm style room (equivalent of $5 USD per night) but at the last minute upgraded to the private ($25 USD per night). It was worth it. I had my own bathroom and TV (no English stations though), heater, and of course, privacy. I took a two hour nap and decided that despite the cold I better get out of my room and explore a bit because my time was very limited. 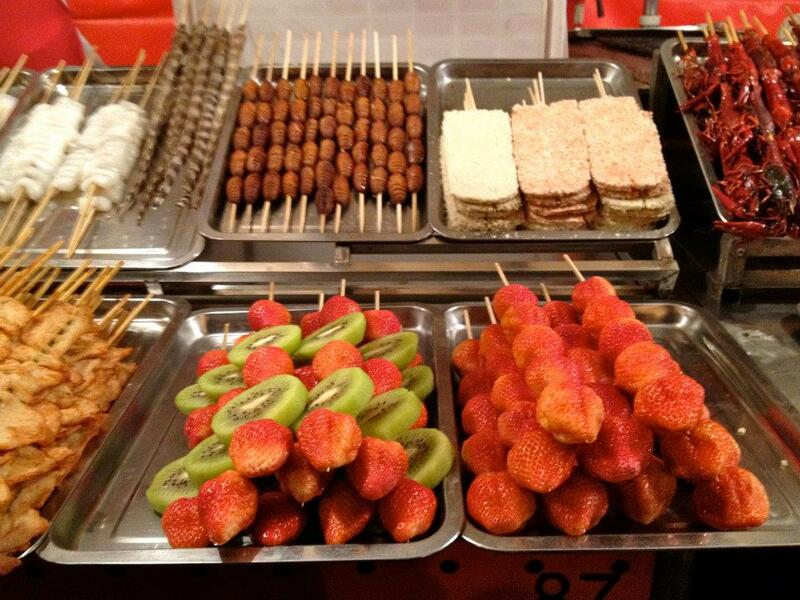 The first night I managed to walk to two famous night markets. 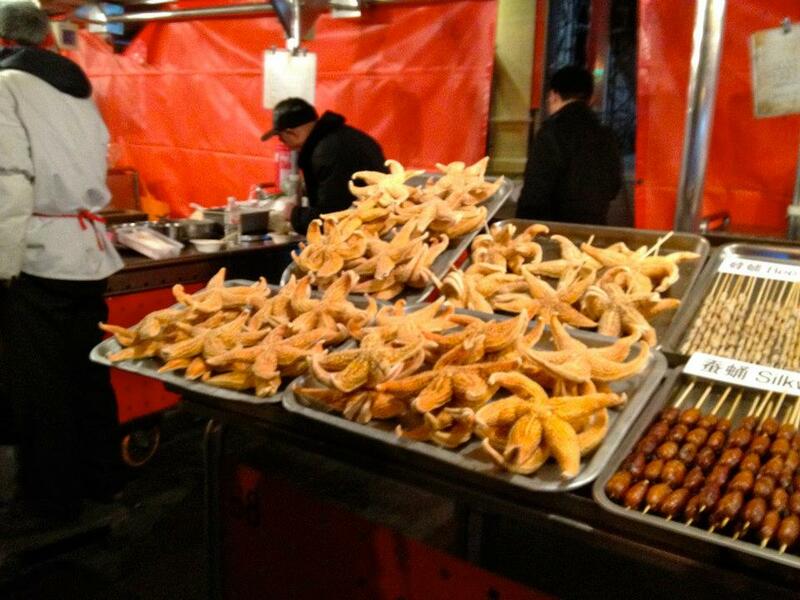 About a 15 minute walk from my hostel I found the famous Donghuamen night market and the Wangfujing snack market. 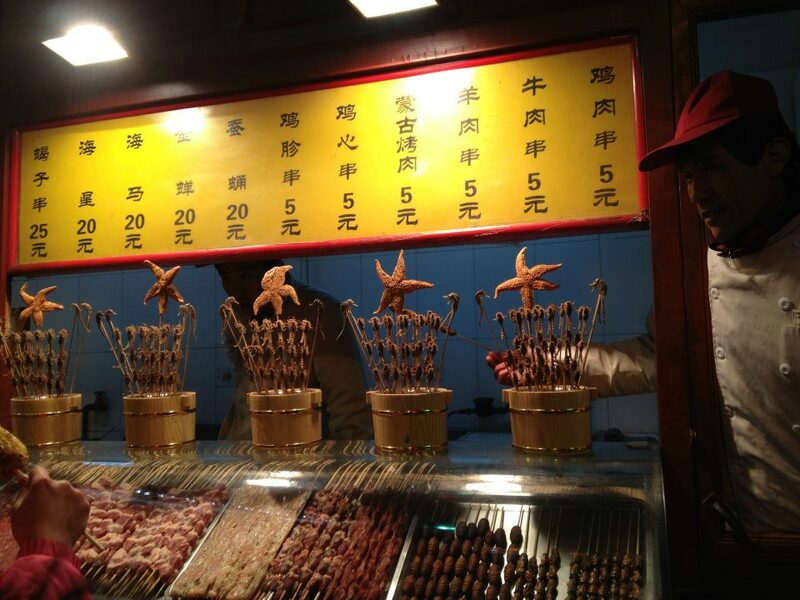 These markets are where you can sample anything from chicken on a stick to centipedes on a stick. 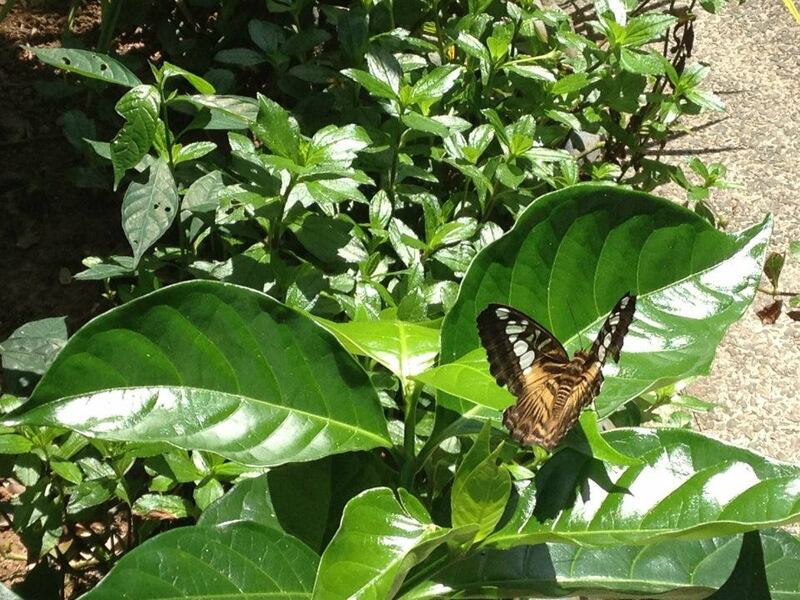 You can take a look at some of the pictures I took and see for yourself. 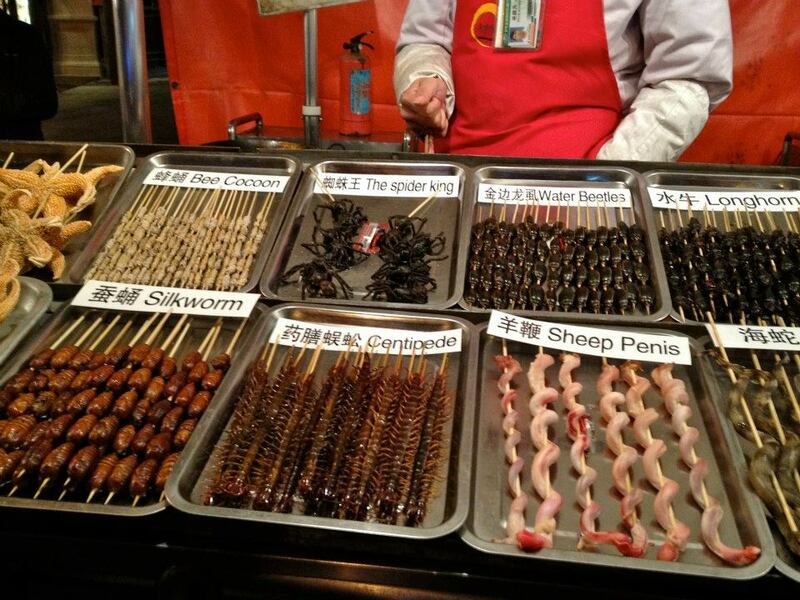 I can’t say I was daring enough to try these foods. I wish I was more adventurous. 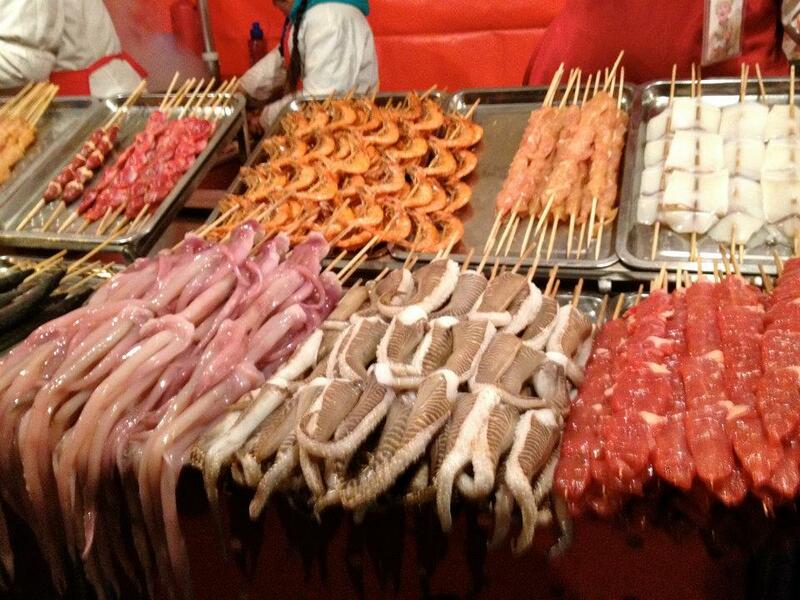 One of the reasons why traveling alone in Beijing wasn’t that much fun was that I didn’t have anyone to try any of these crazy foods with. 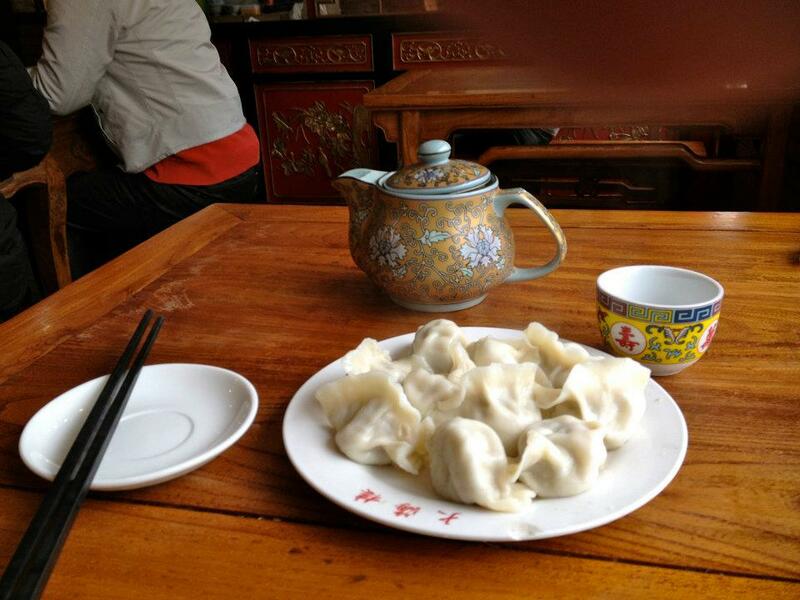 With a tour of the Great Wall scheduled for the next day I wasn’t about to risk eating anything too crazy and be sick with food poisoning. The chicken, fruit, and dumplings were good enough for me. Hong Kong was not originally on my top 5 places to see in the world, but after spending five days there, I wouldn’t hesitate to put it on my top 5 favorite cities in the world. 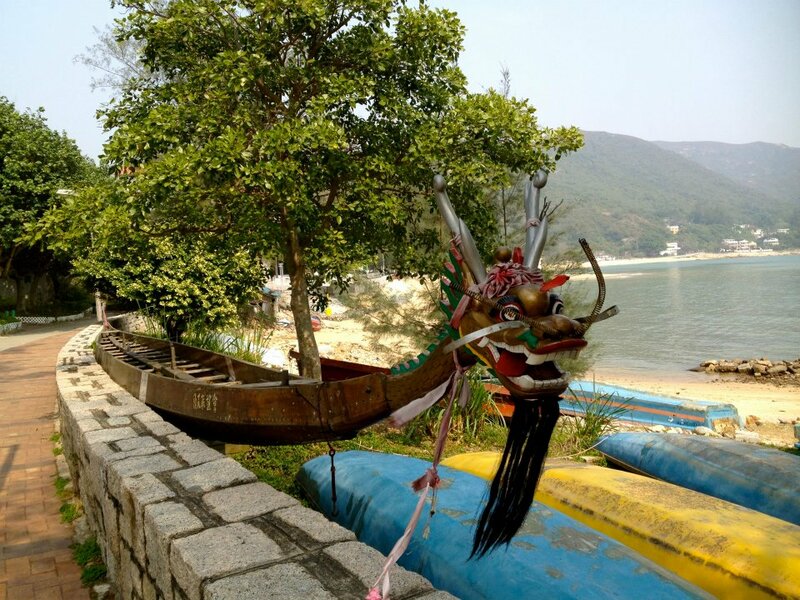 The geography of Hong Kong is separated into two main parts: a mainland peninsula off of China and Hong Kong Island, but it also consists of about 200 smaller islands including the most popular islands of Lantau and Cheung Chau. Because of its compact size and the convenience of its transportation system, you could see pretty much everything you want and more in just five days. Stepping off the plane at Hong Kong airport in late afternoon, I took a double decker bus into the central area of the city to find my hostel. I was already surprised at how easily I had found the right bus and how everything was clearly labeled in English. As I arrived into the city, the sun went down and my senses were stimulated from the bright lights surrounding me and the hustle and bustle of the masses of people on the street. Getting off of the bus I tried to take in the atmosphere and get my bearings. Although the weather wasn’t too warm, it was nice to be able to walk outside without a winter coat. 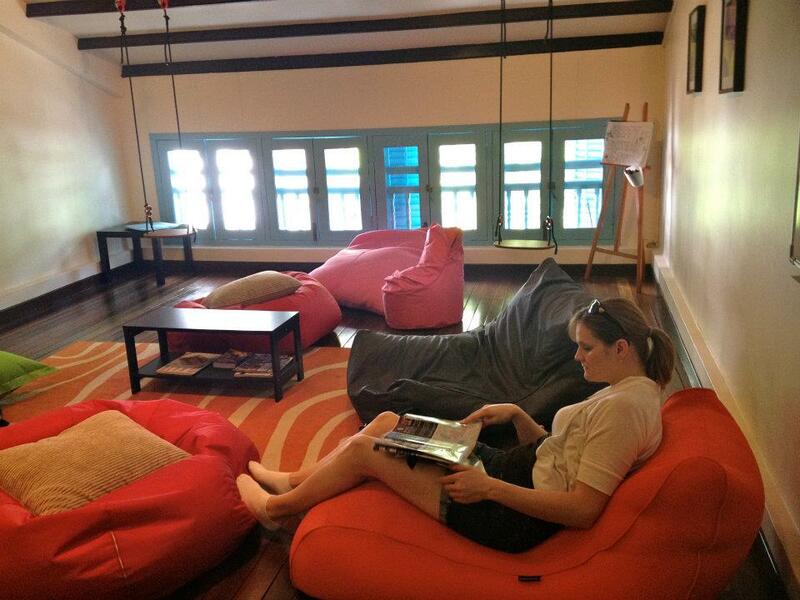 The first two nights I stayed in a popular guesthouse for budget travelers called Hong Kong Hostel on Hong Kong Island. 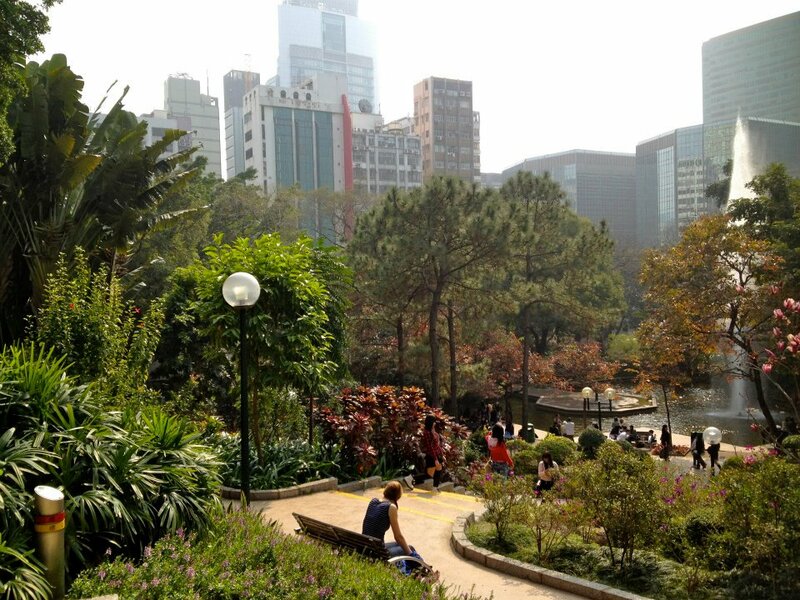 It was located right in the central area, which made it very easy to get to the subway station and the major nightlife attractions. 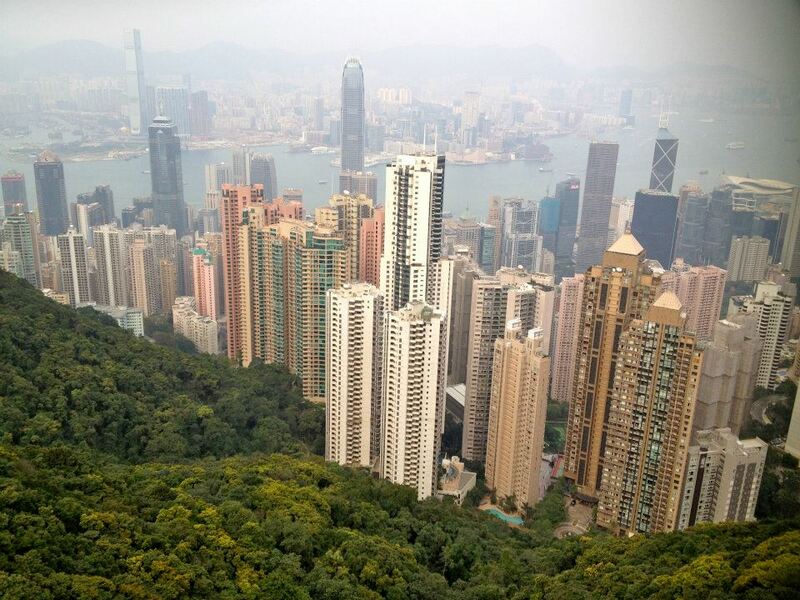 On Hong Kong Island I think the top must-sees are the view from Victoria Peak, Hong Kong park as well as some other parks, and the nightlife of Soho and and Lan Kwai Fong. 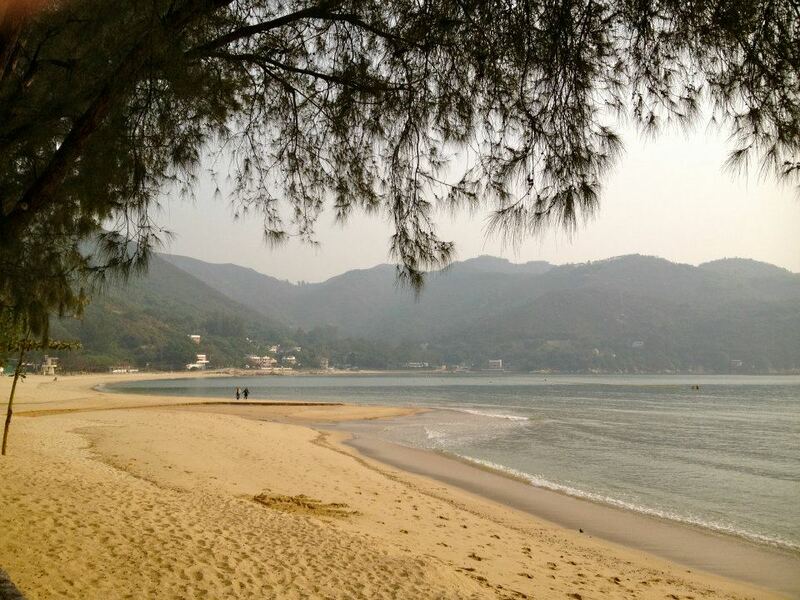 If you have time, the southern coast of Hong Kong Island is also quite beautiful. The first night on the island I went over to Lan Kwai Fong area and walked around to check out the nightlife. Lonely Planet book in hand, I tried to find a good place to eat. Most of the restaurants in central area are really pricey and fancy so I settled on a more low-end, but still recommended restaurant for a fried noodles dish. 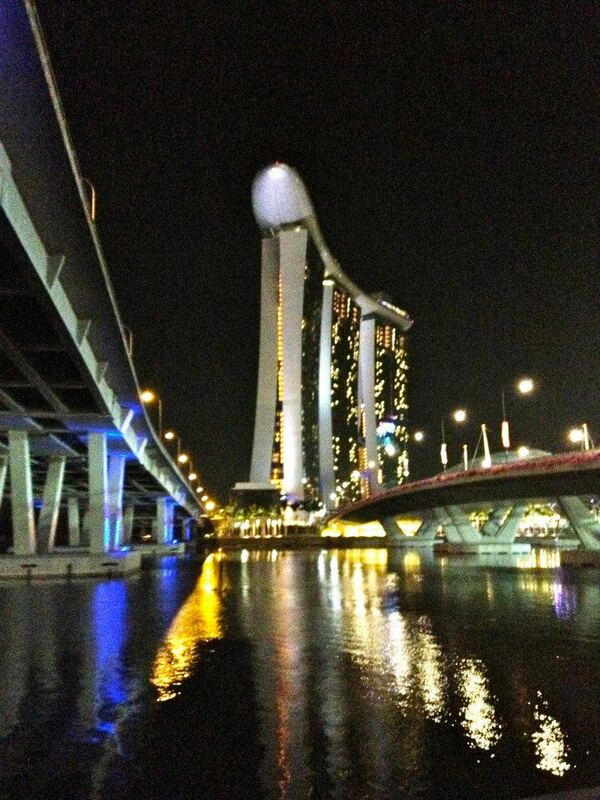 The nightlife atmosphere of this area was really exciting. There were bars and restaurants lined up on most streets and most people were standing outside mingling and drinking with each other on outdoor patios before heading onto the next spot. 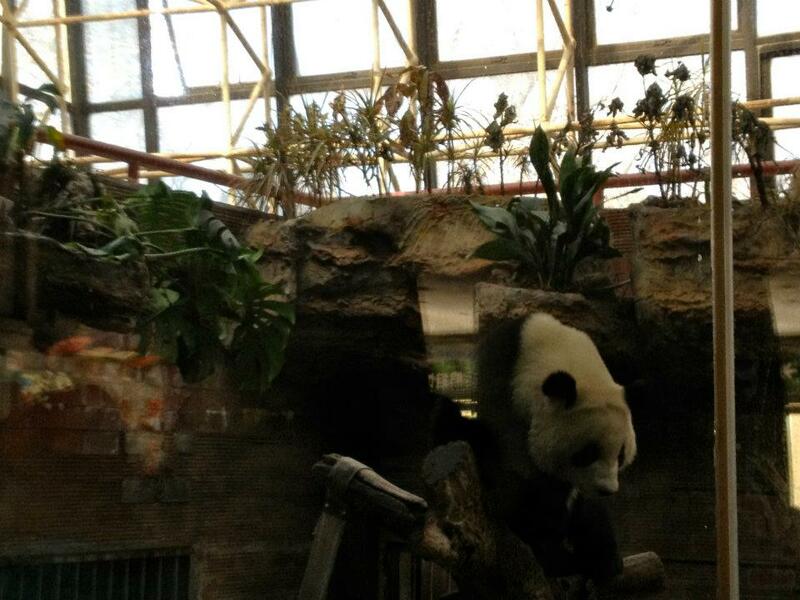 One of the major attractions to this area is the mid-levels escalator. This escalator is actually the longest covered escalator in the world. Since the streets are so hilly the escalator is really helpful. There are entrances and exits to the escalator on each street that it passes. Be prepared to walk back down though because from 10:30 a.m. until midnight the escalator only goes up. 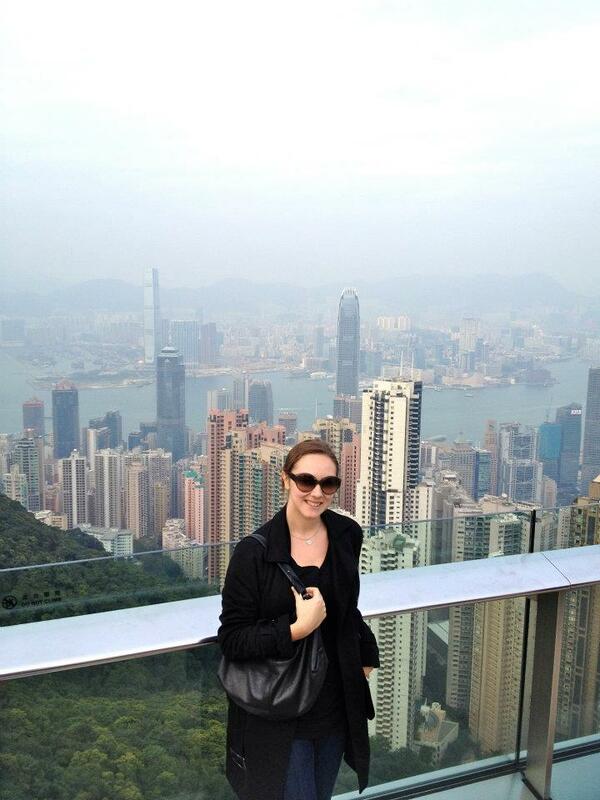 Day 2 on Hong Kong Island was packed with site seeing. 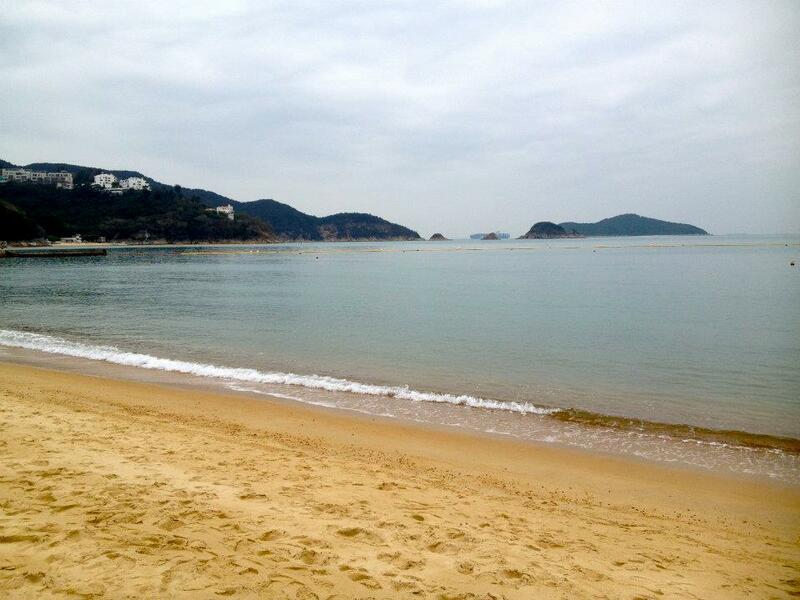 I started at the south of the island and checked out Repulse Bay and Aberdeen Harbor. 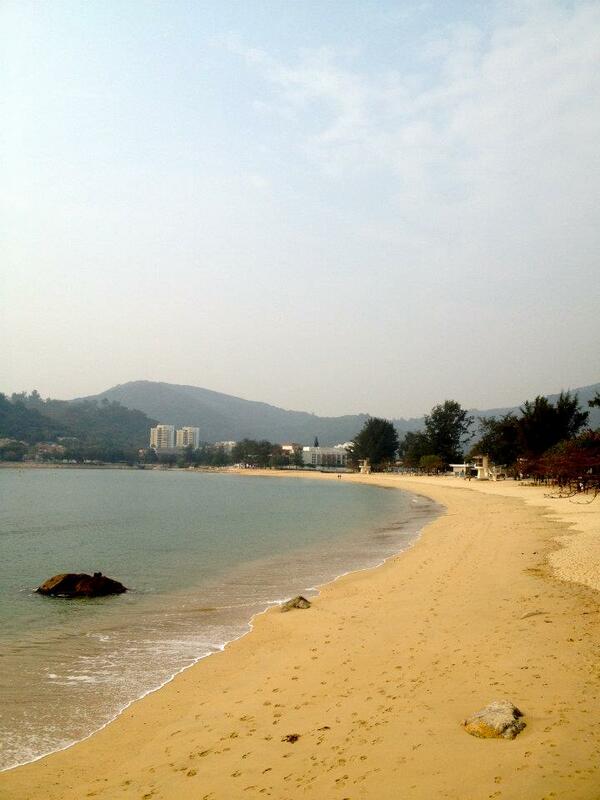 Repulse Bay is a small, but picturesque beach. Having gone in the off-season of February I was able to see a quiet and empty beach, but I’m sure in high season it is packed with people. Aberdeen Harbor is interesting because you can see the locals who are living on houseboats and selling things out of their boats. 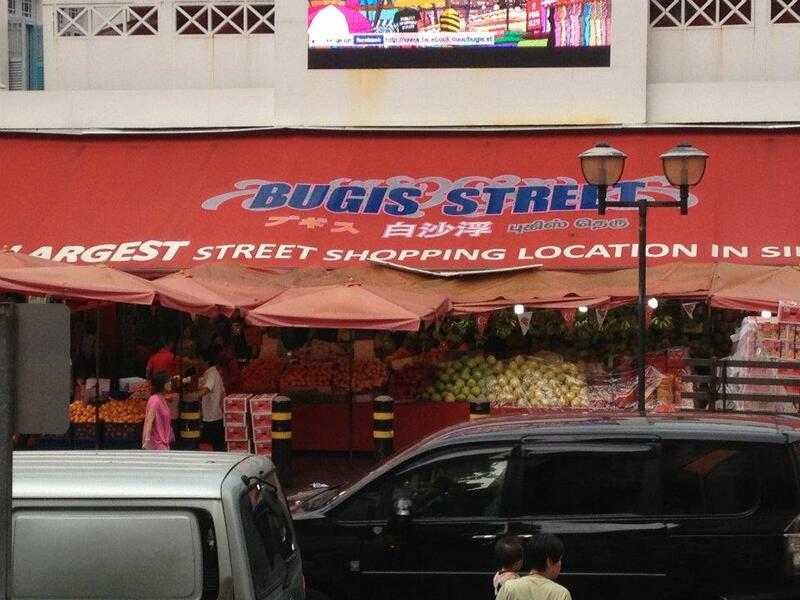 I was there early in the day so I missed the action of the floating markets. Try to go in the afternoon or late evening. 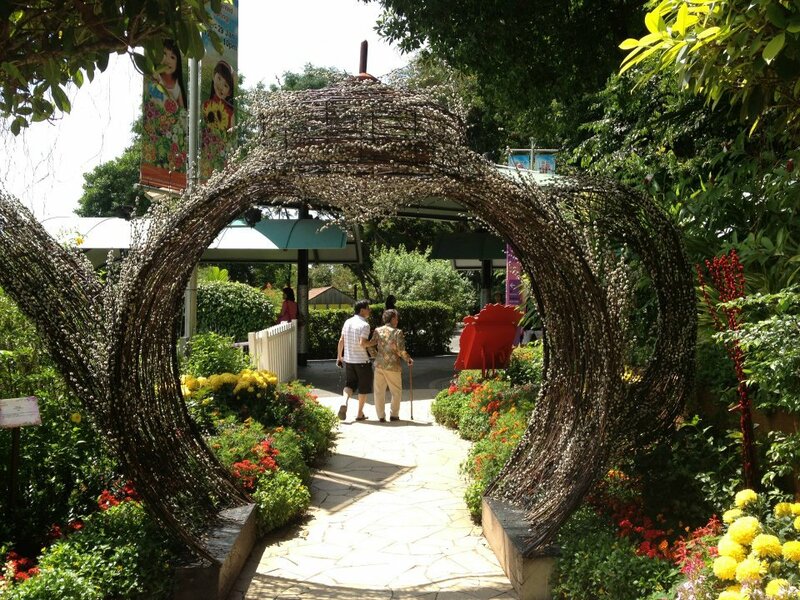 During the afternoon I walked to all of the main parks including Hong Kong Park and Hong Kong botanical gardens. 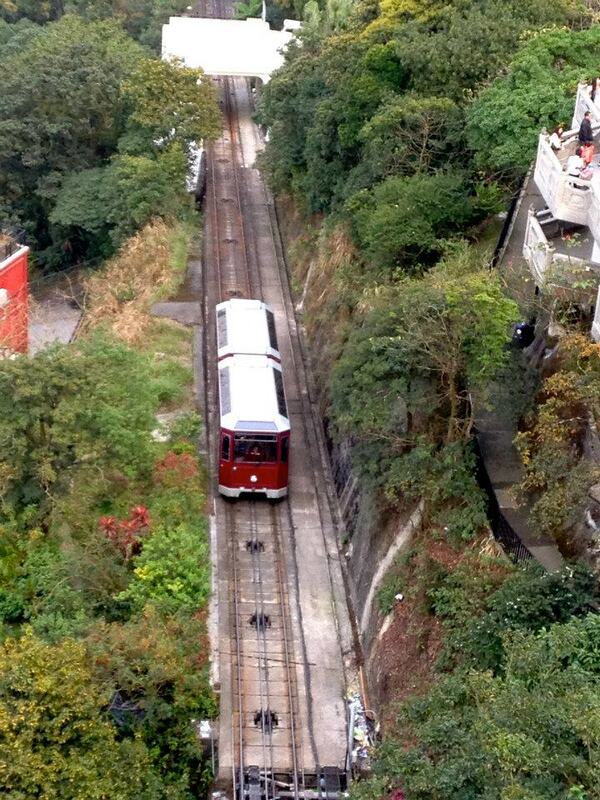 Right before sunset I took the tram up to Victoria Peak to catch a daytime and nighttime view of the city. That was probably the highlight of the island. After that day I was pretty much exhausted and couldn’t wait to relax. 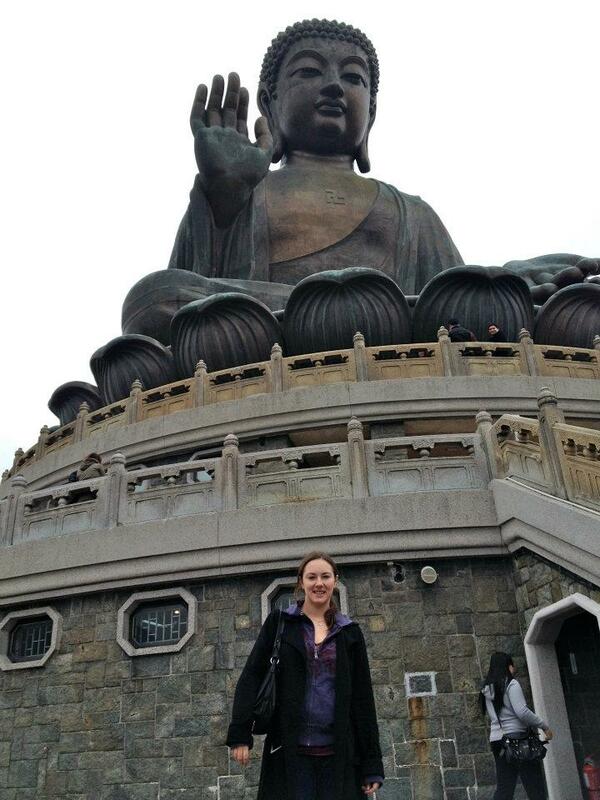 On Day 3 I said goodbye to HK Island and headed over to Lantau Island. I planned on spending one night on the island. 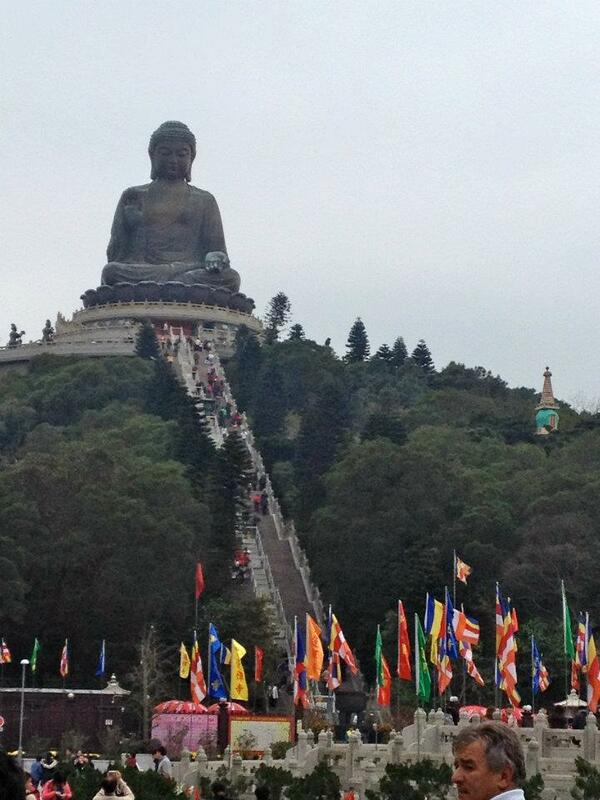 Not exactly sure of the location of my hotel, I took the subway to Lantau, which I found out meant I had to take a 45 min. bus to my hotel from the station. 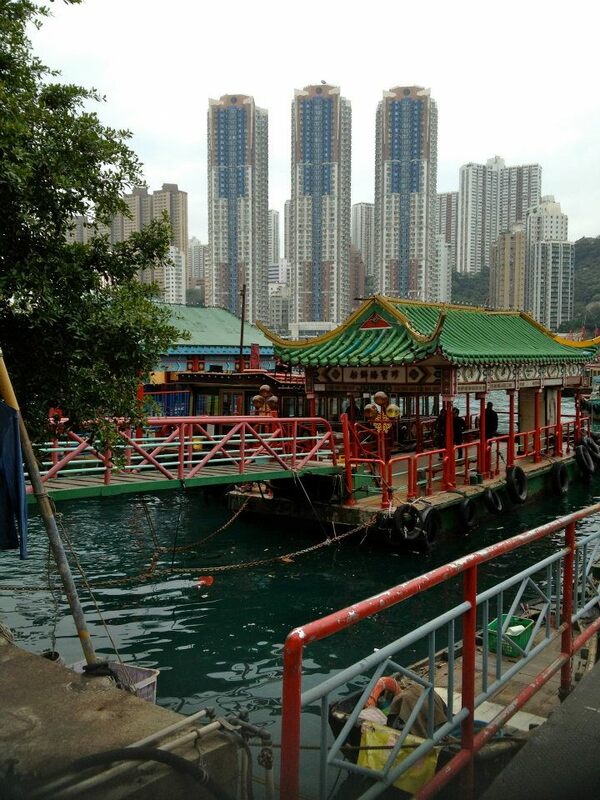 Then, arriving at my hotel I realized I was right next to the ferry dock which has 30 minute ferries to HK island. You live and you learn. Luckily I was able to take the ferry over to the Kowloon peninsula the following day. My hotel was right on the beach and because it was off-season I was able to get a cheap room. It was nice to have one night away from the craziness of the city. 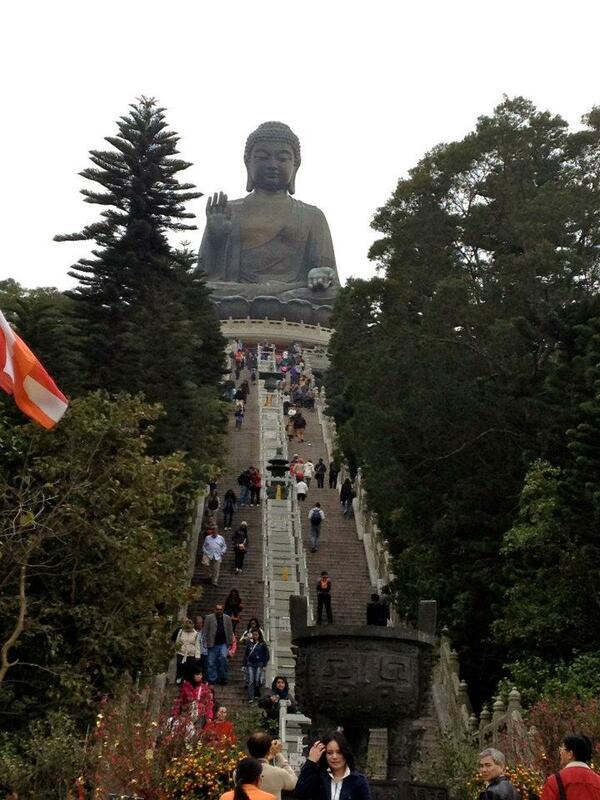 The main attraction on Lantau Island is the giant Buddha statue. I had a nice vegetarian meal at the Po Lin Monastery at the base of the Giant Buddha and then I spent some time walking around the trails around the area. 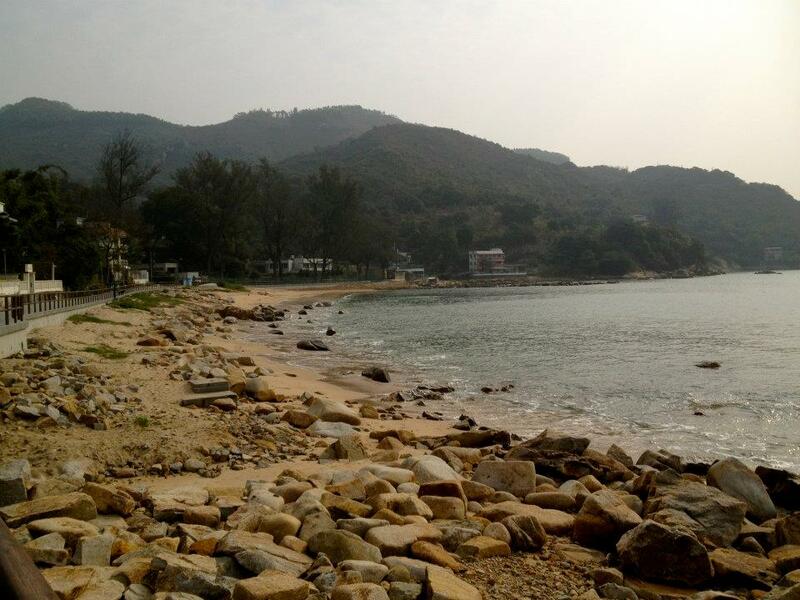 Lantau Island is very mountainous so bring your hiking boots because there are some really nice hiking spots! After a nice relaxing time on the island I took the ferry to the Kowloon Peninsula for my last leg of travels in Kowloon. I stayed at an up-scale hostel here called Hop Inn. It was very clean and I had my own private room. I spent a little more money but after staying in dorms and sharing bathrooms sometimes it’s nice to have your own space at the end of the day. 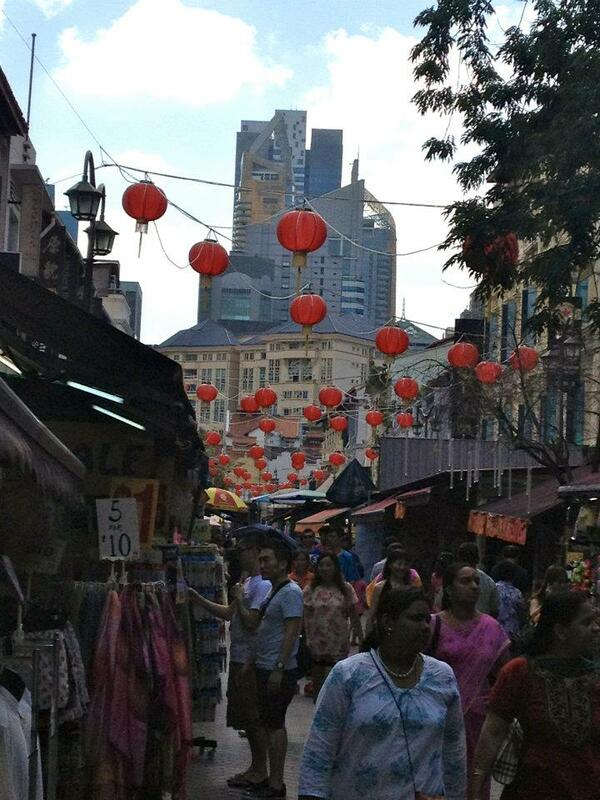 I spent the day walking up the main street, Nathan Road. 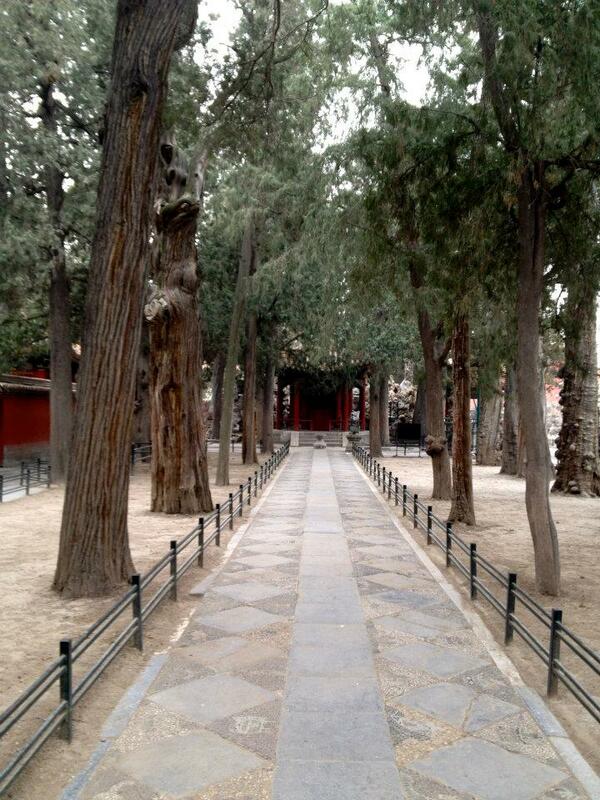 On this street you can find interesting parks and traditional markets. 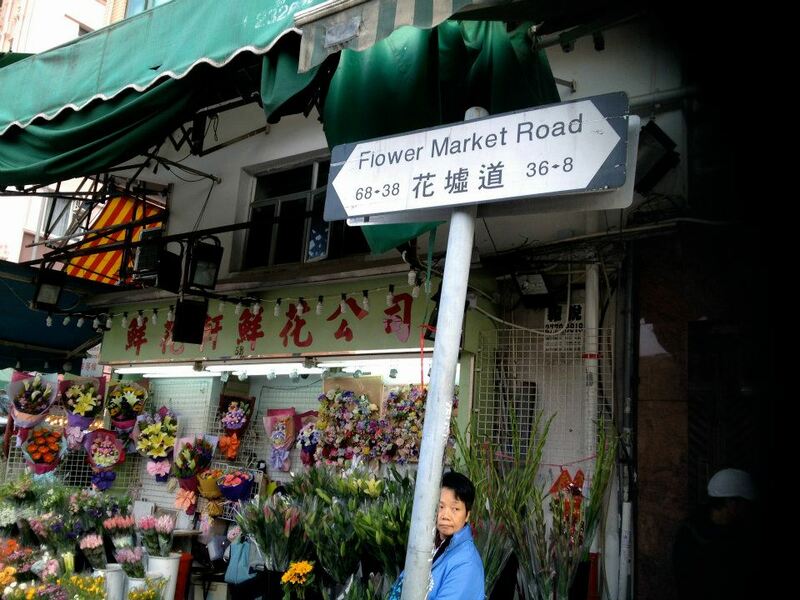 There is a jade market, a flower market, and even a bird market! The bird market was the most unusual thing I saw. Many older Chinese people walk around with small birds in cages and often seem to enjoy watching birds. 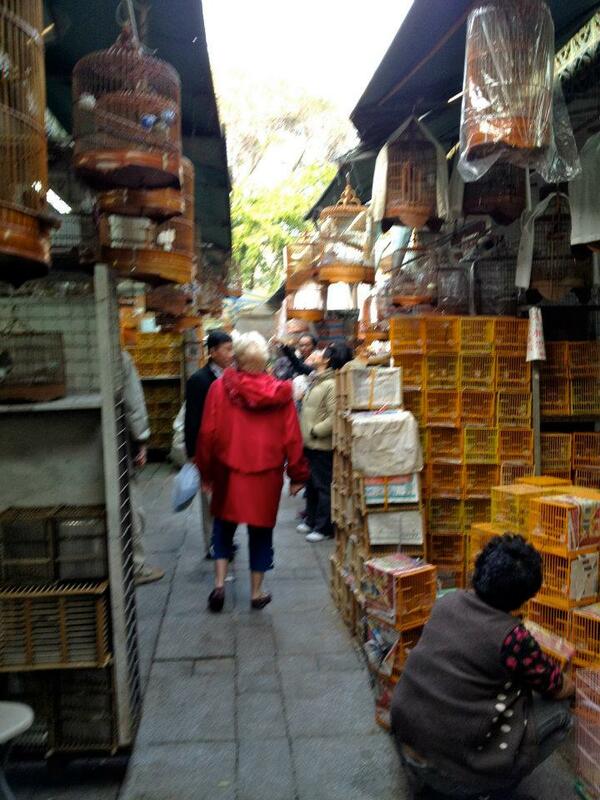 The bird market is a street lined with cages of thousands of birds. It was definitely unlike anything I had seen before. 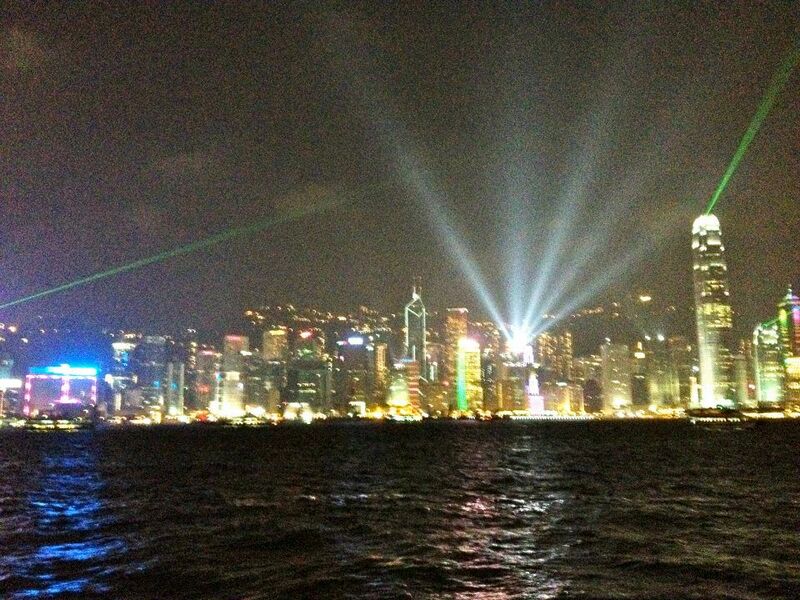 I came back to my hostel for a nap before heading to the harbor to see the famous laser light show. The laser light show is at 8 p.m. every night on the Avenue of the Stars. 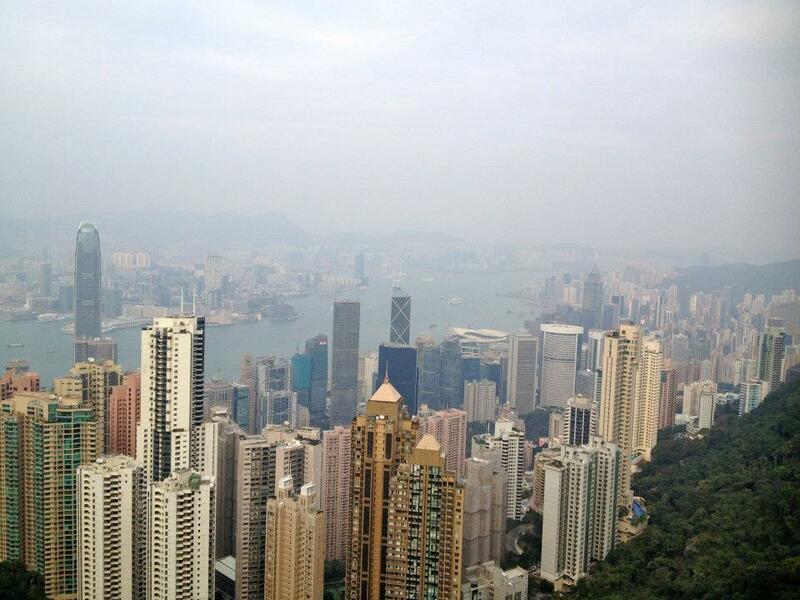 From Kowloon you can see the cityscape of HK island. They choreograph the lights on the building to music and incorporate laser lights coming from the tops of the buildings to create a performance. 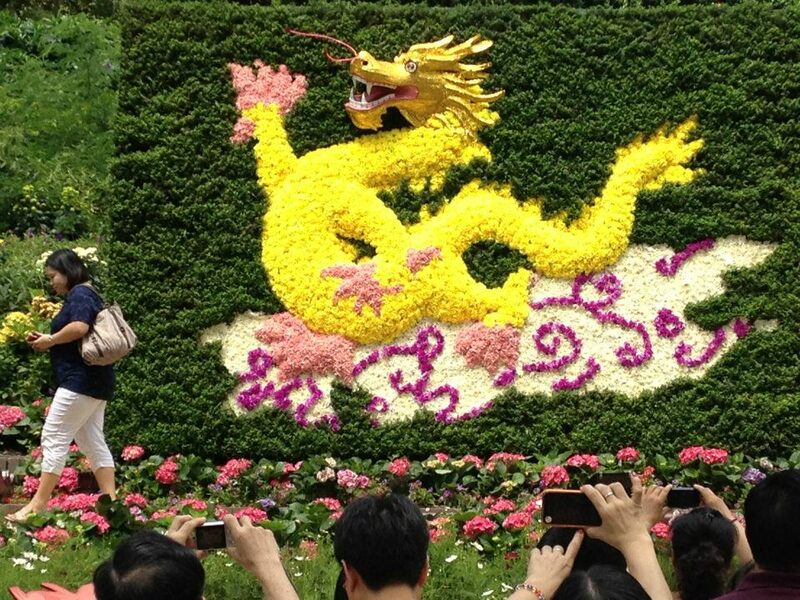 It’s not the most spectacular thing you could ever see, but I would say it’s a must-see in HK. 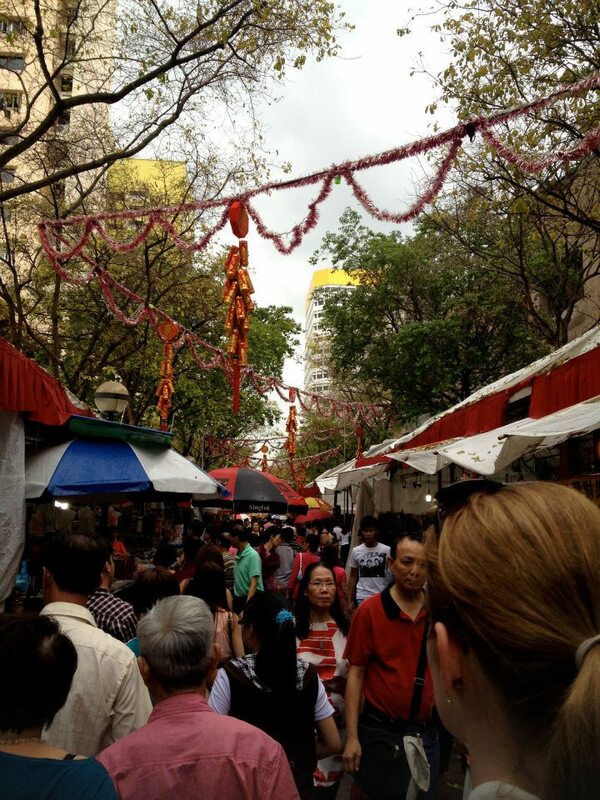 The last thing on my agenda was the Temple Street night market. 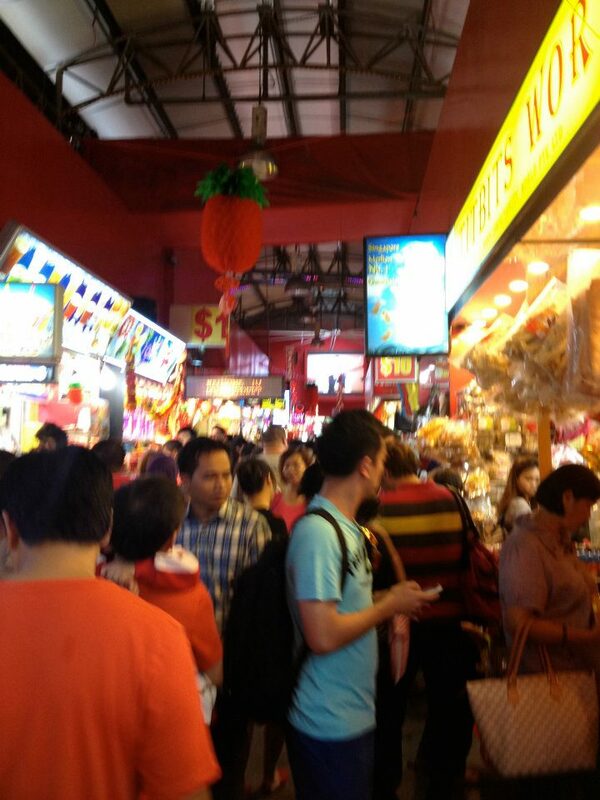 This night market is good for buying souvenirs and sampling some Chinese cuisine. 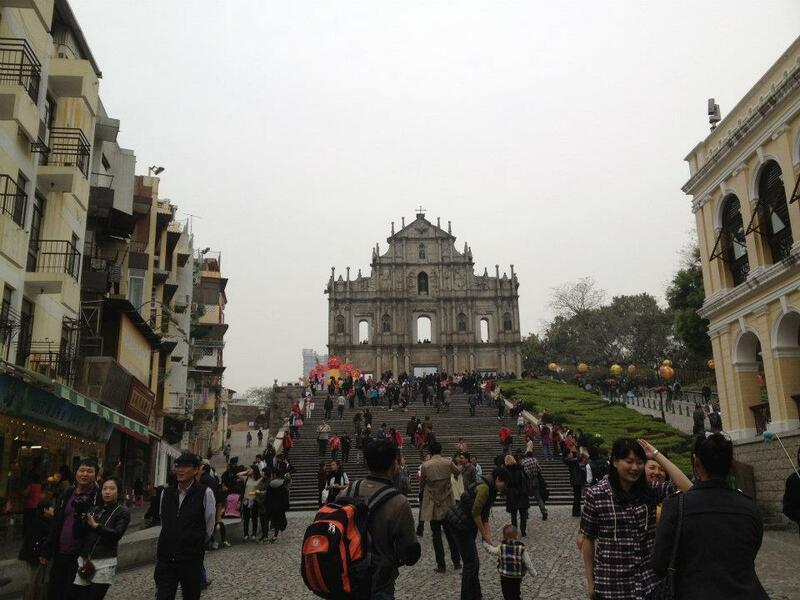 After another non-stop walking and site-seeing I was exhausted. On my last day in HK I decided to take the hour ferry over to Macau. 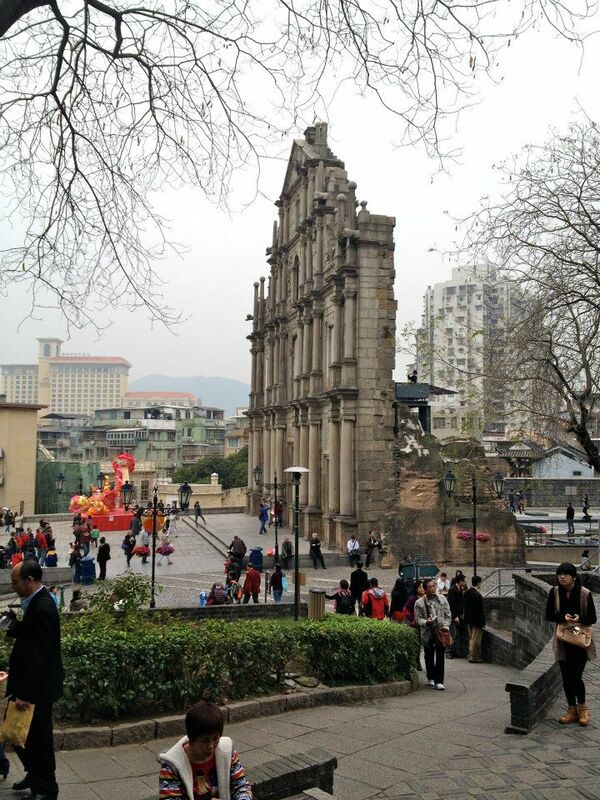 Macau is an island mostly known for its casinos, but it also has some interesting Portuguese architecture because until recently this island belonged to Portugal. I don’t gamble so I didn’t step foot into any of the casinos; however, I spent a few hours walking around and taking pictures of the Ruins of St. Paul’s and the Guia Fortress. 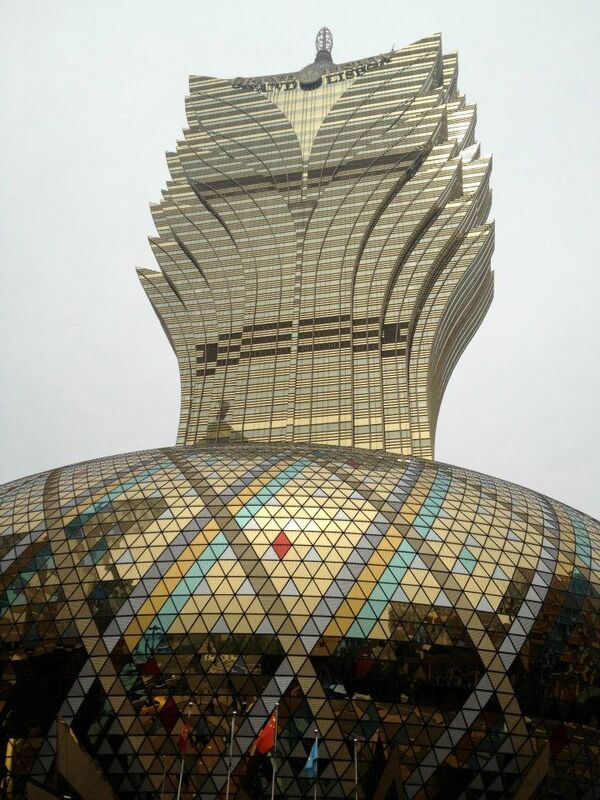 Macau isn’t somewhere I would ever go back, but at least I can check it off of my list. The diversity of the people in HK, the beauty of its mountains and harbors, and the excitement of the nightlife are what make Hong Kong a great place to visit. Although it is a small place, there are more than enough things to do there. A week is a perfect amount of time to see HK. It’s enough time to see everything and also just enough to leave you wanting more. 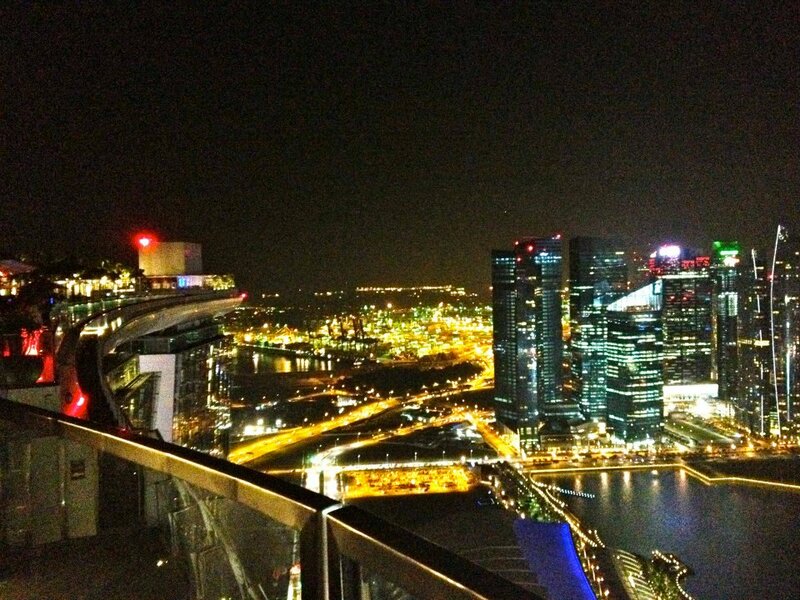 I hope to have the chance to go back someday. 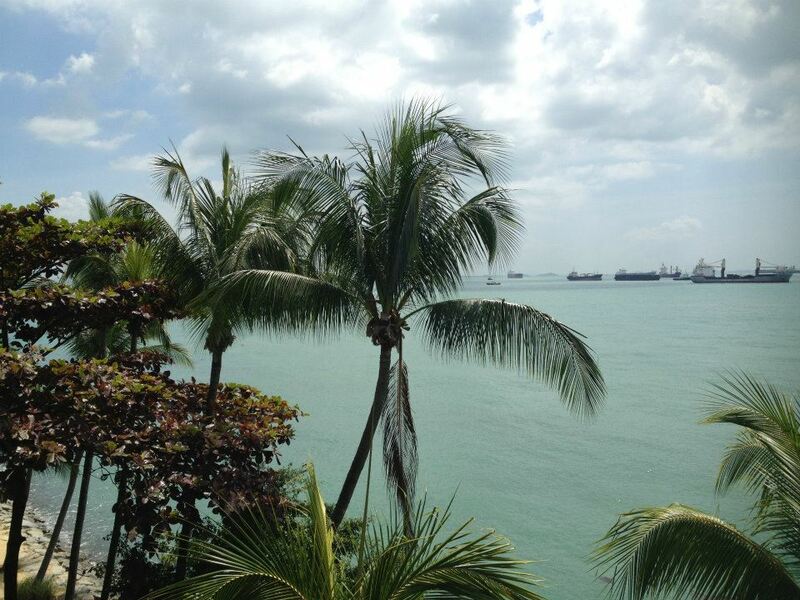 My Malaysian adventure ended with a day trip to Singapore. 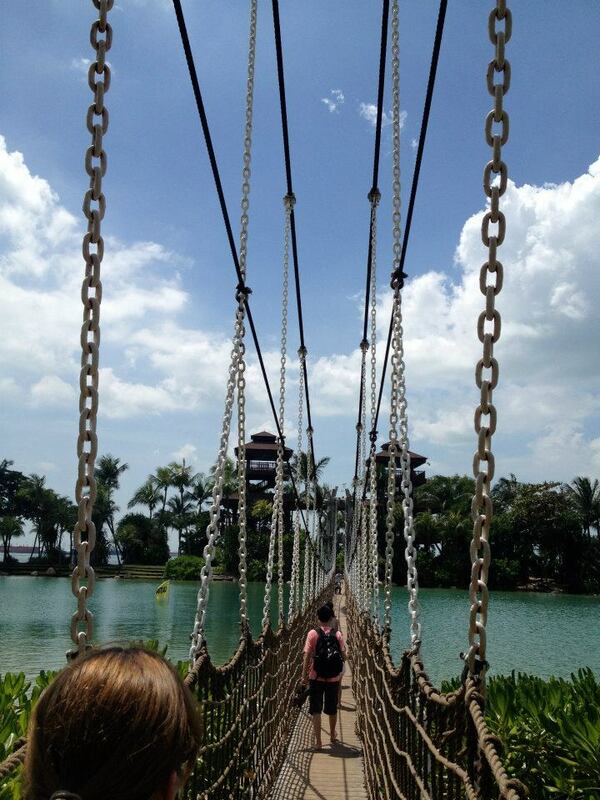 And by day trip I literally mean that it took us an entire day to get from Langkawi Island to Singapore. 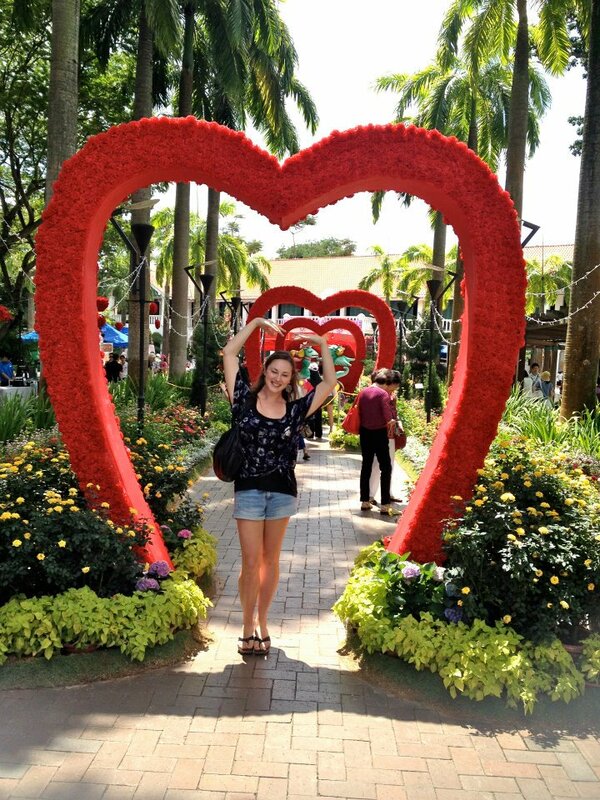 Instead of forking over a couple hundred on a direct flight from Langkawi to Singapore, we decided to save a hundred dollars by taking a ferry and a 9 hour bus ride to Kuala Lumpur where we took a 45 minute flight to Singapore. Worth it? Not really. 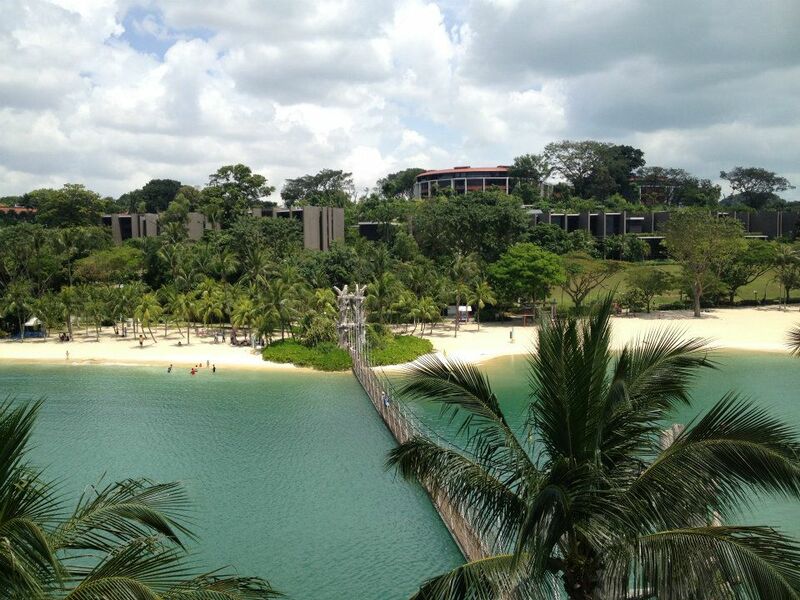 Instead of having one day of pure traveling and one day to play in Singapore, we could have had 2 days in Singapore. 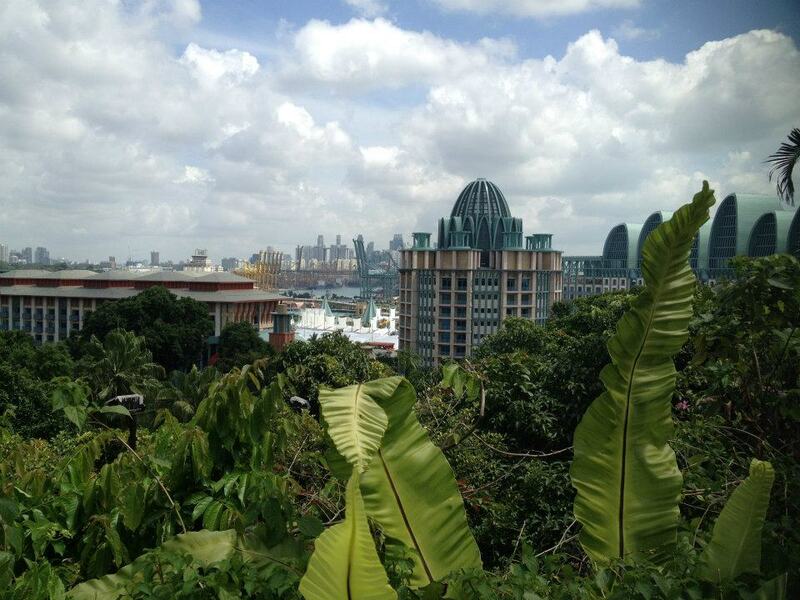 Although Singapore is small, it’s a great city, and I would recommend at least 2 days. 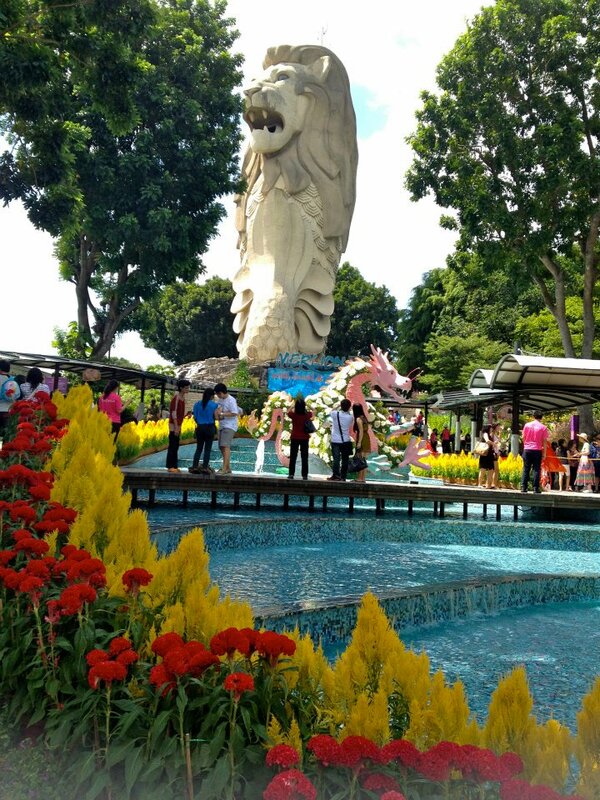 Here’s what you can do with 24 hours in Singapore. 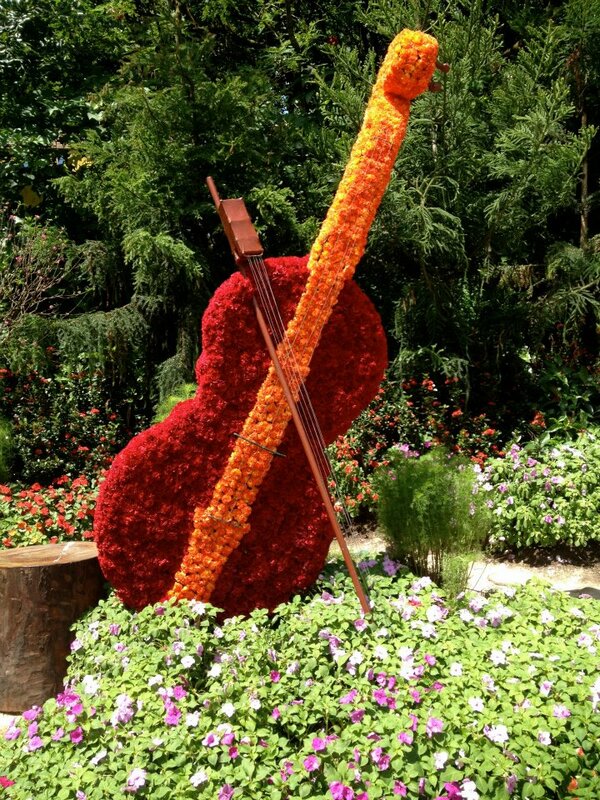 I’m getting lazy about writing, and no one wants to read anyways, so just enjoy looking through the pictures. 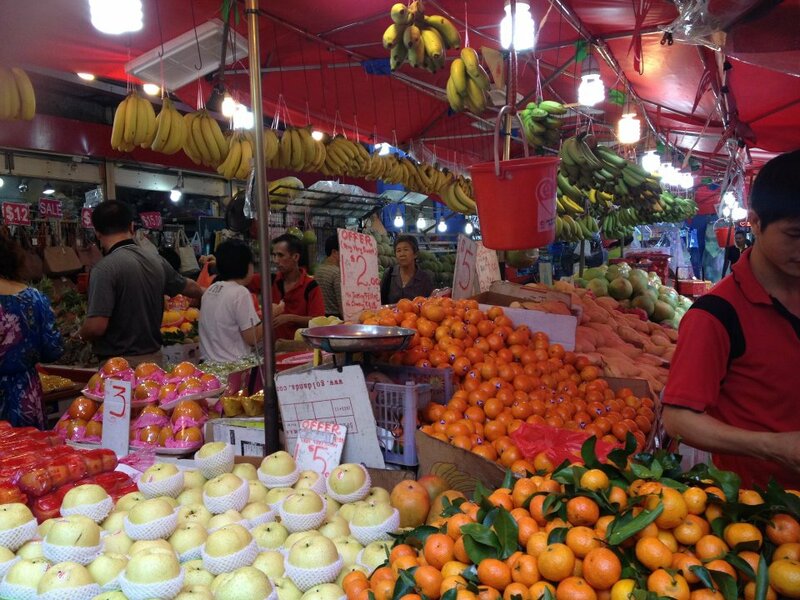 Love the fresh fruit and fruit juices here! 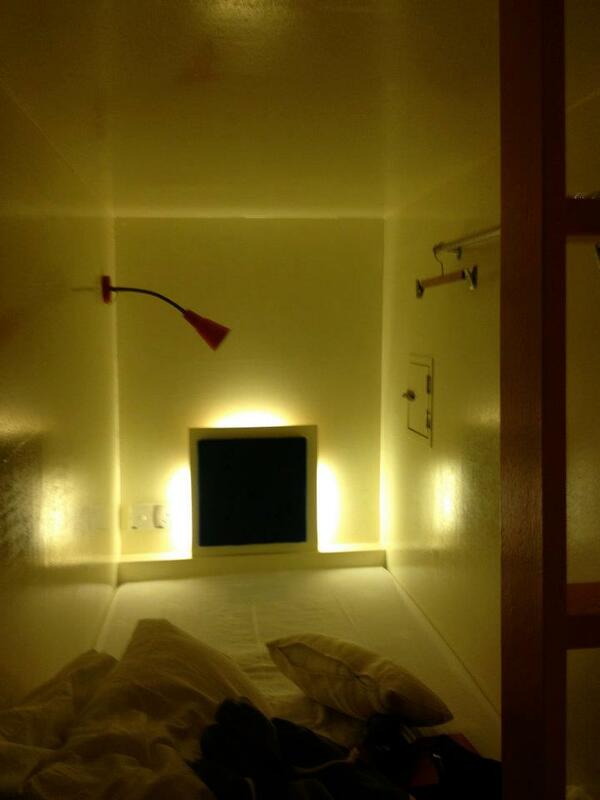 My "capsule" style bed at the Matchbox Concept Hostel. Each bunk looked like a capsule. Very interesting and modern feel! 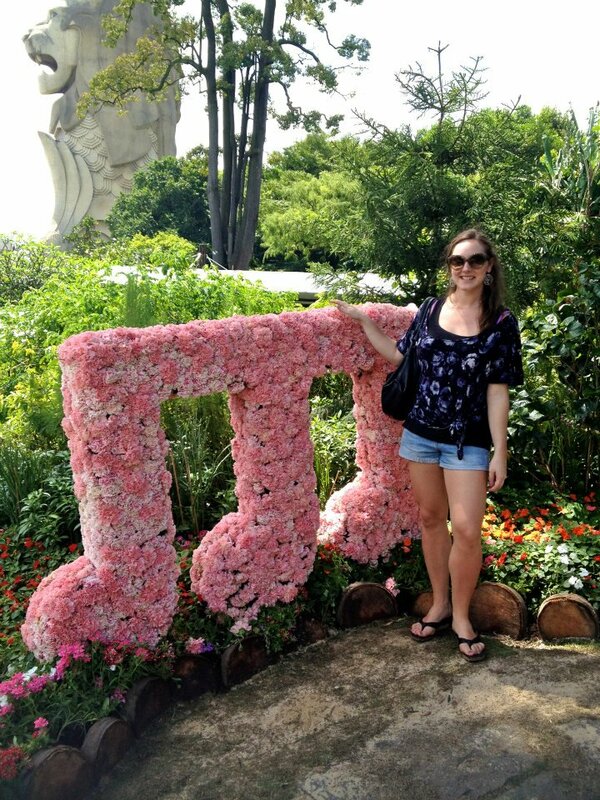 You Know You’re In Korea When….